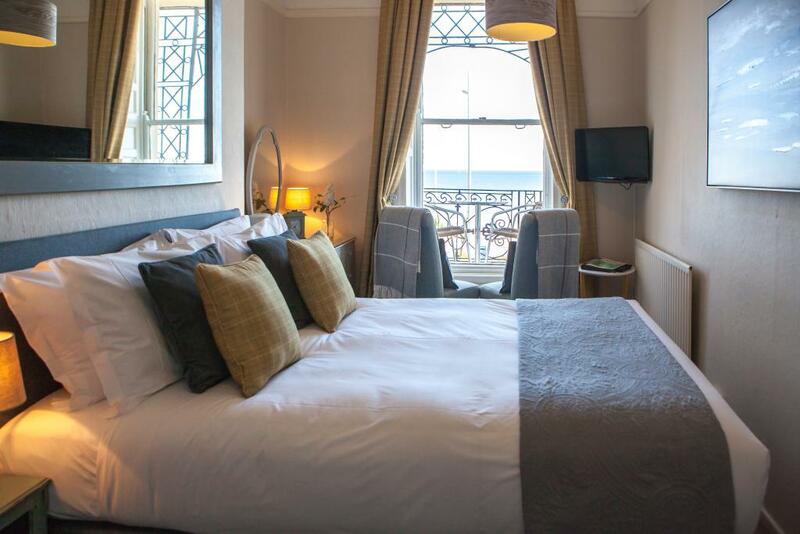 Our Classic single rooms accommodate one person, with a single bed. 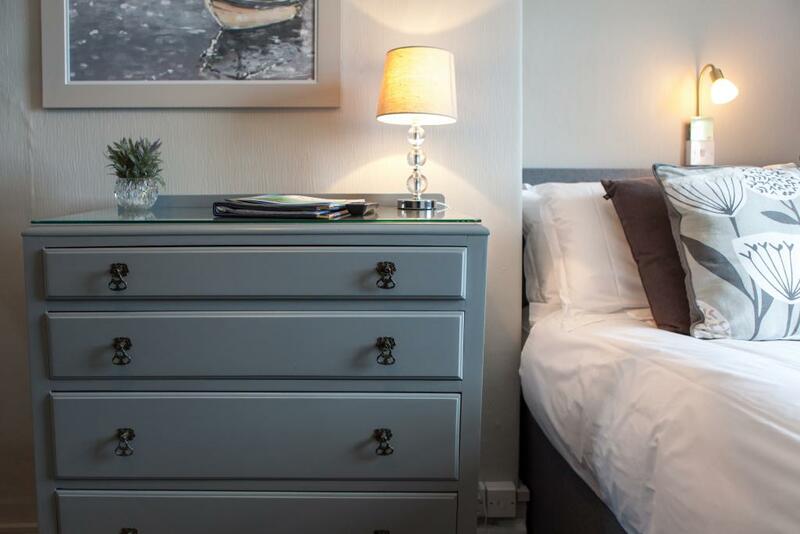 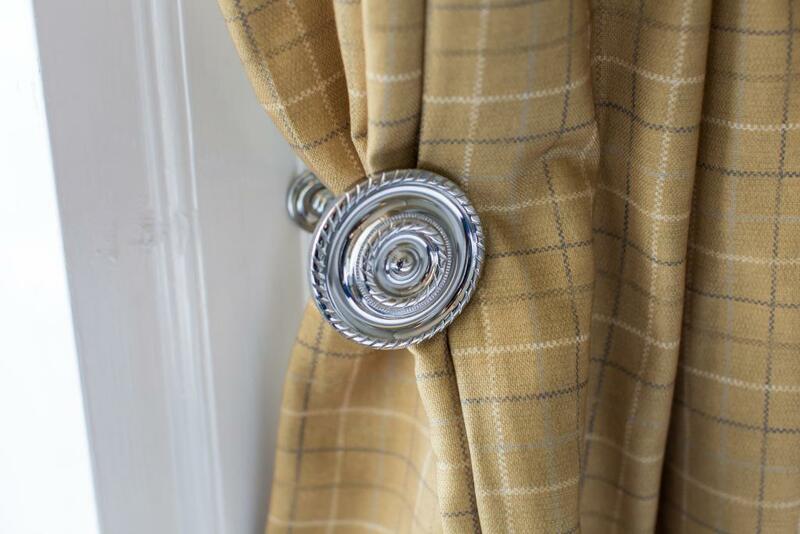 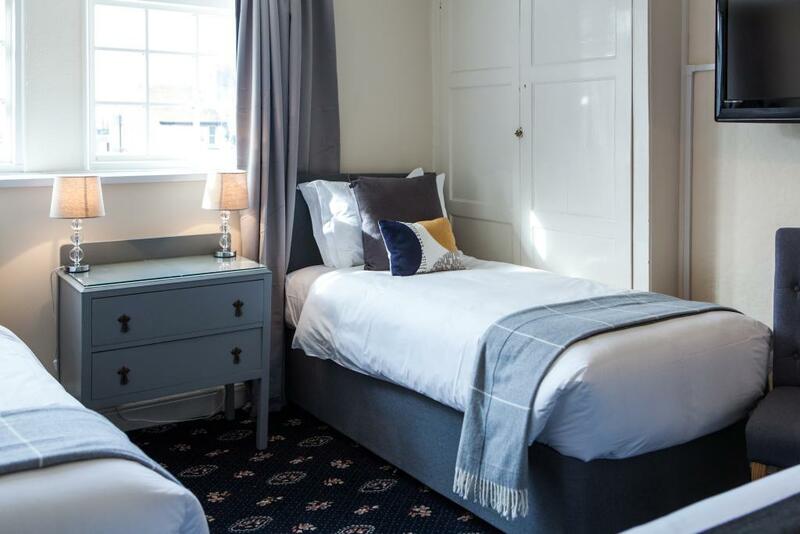 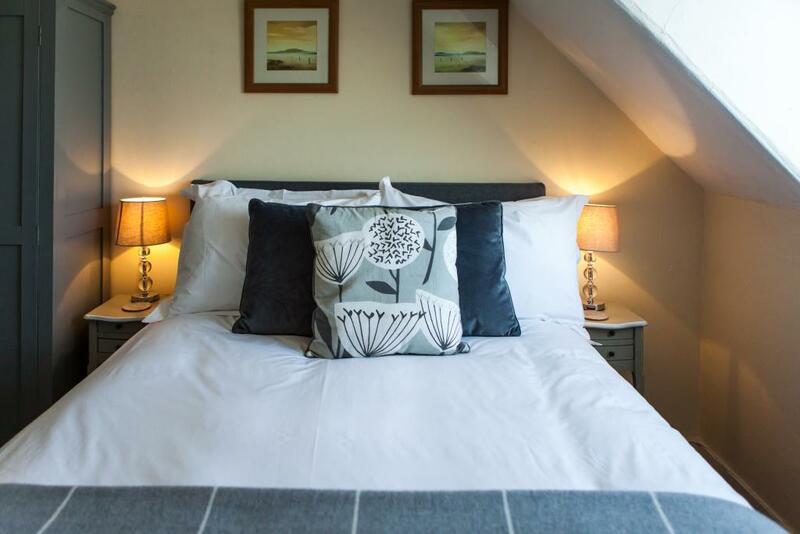 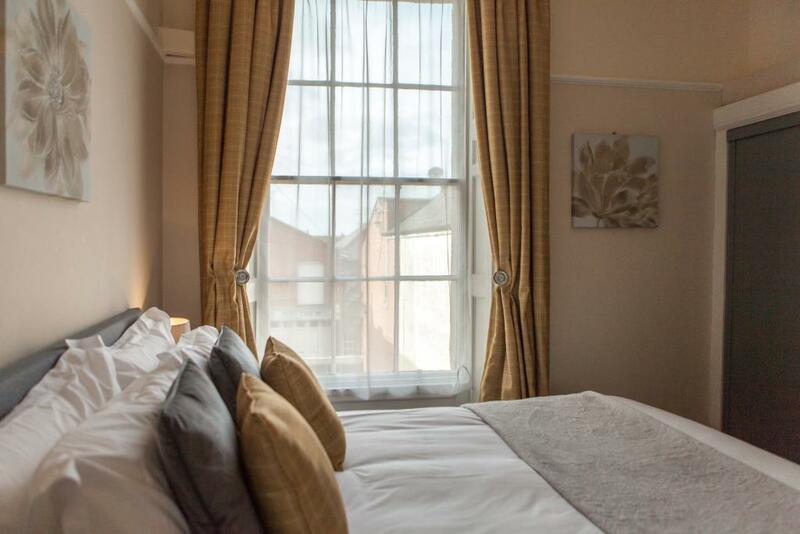 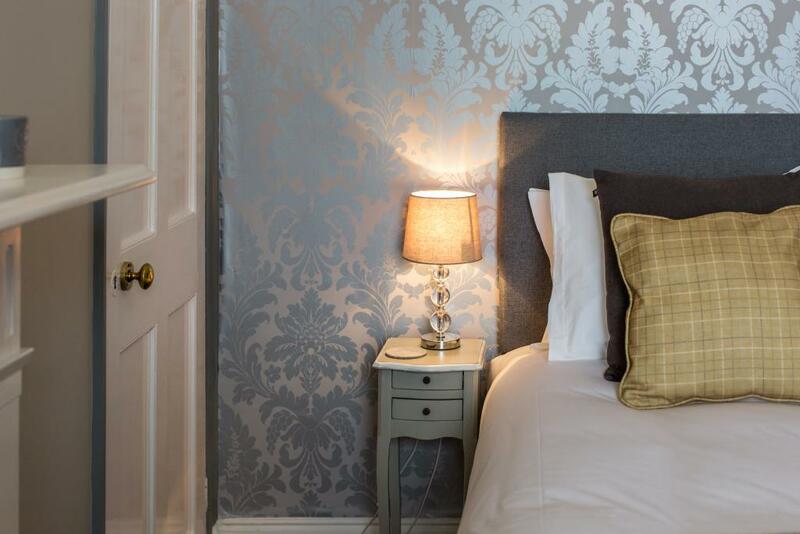 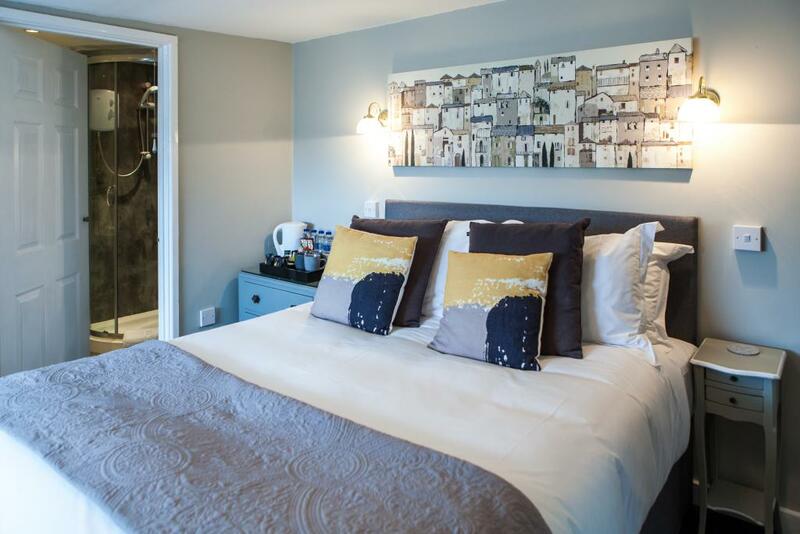 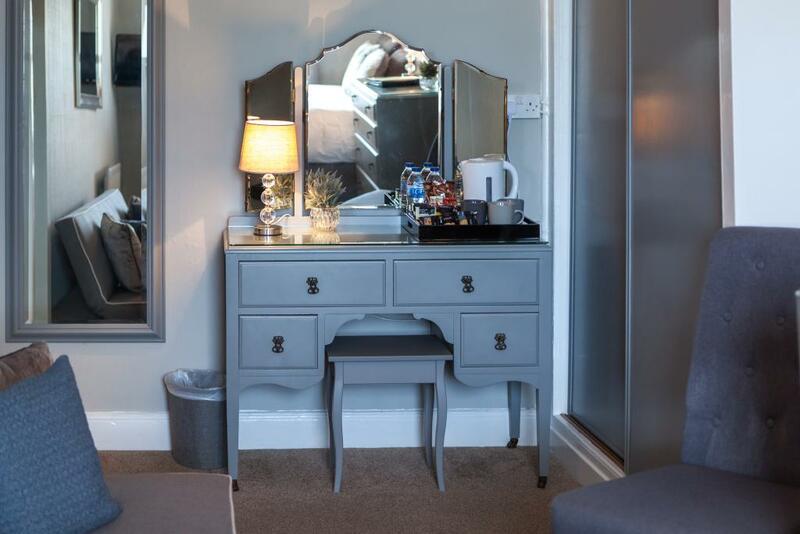 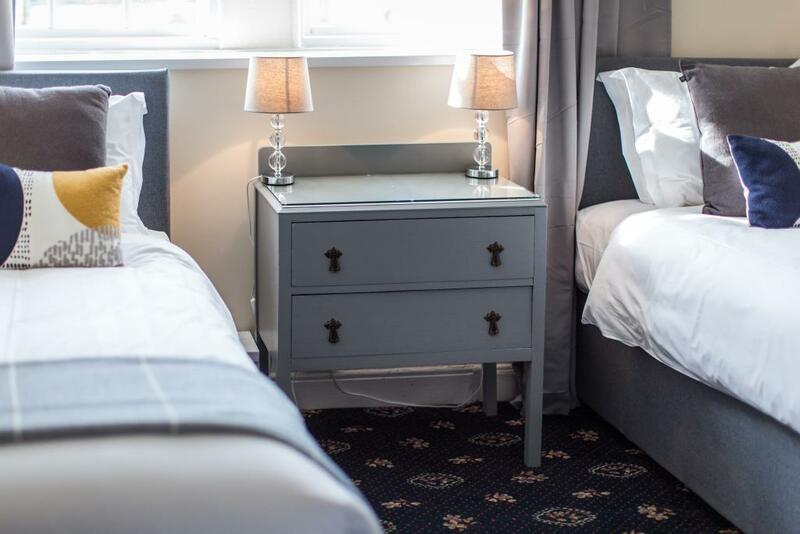 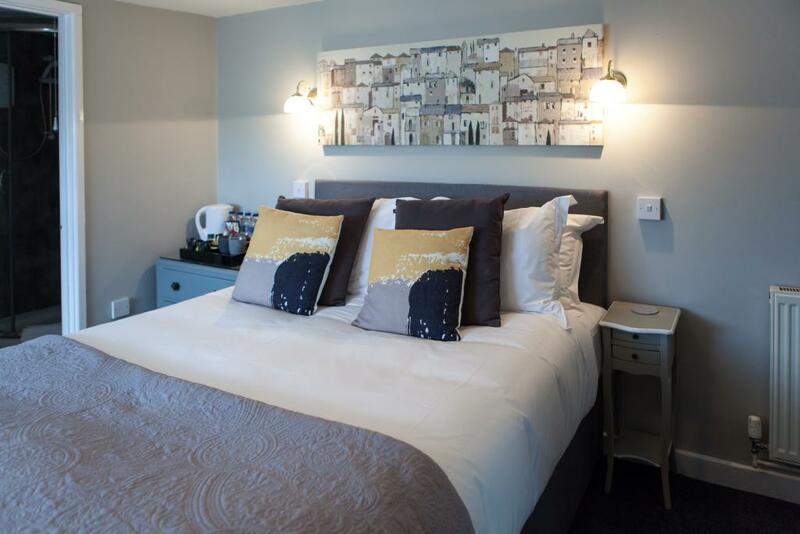 Our rooms are both comfortable and relaxing – with crisp white linen, plump pillows, well equipped bathrooms and a generous supply of tea, coffee and Dorset biscuits. 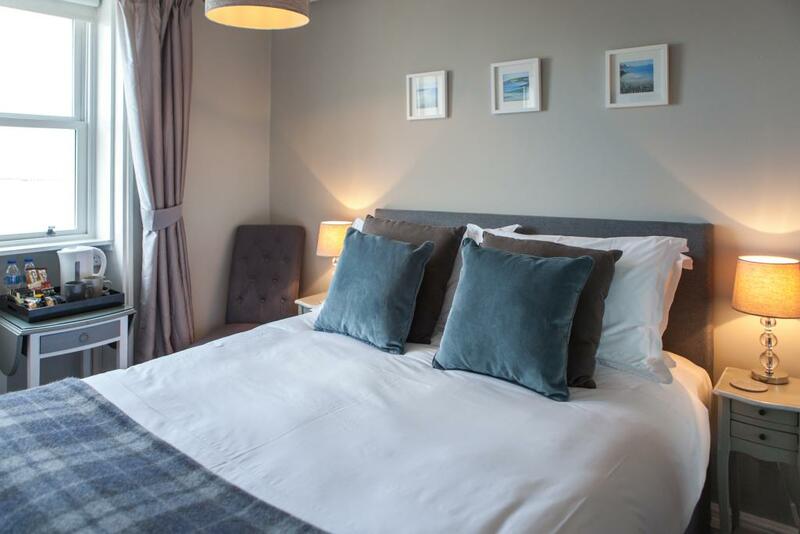 Our Inland View Rooms are perfect for those who'll get their sea-view fix by day, before returning to sleep in complete style and comfort.These rooms feature en-suite Baths. 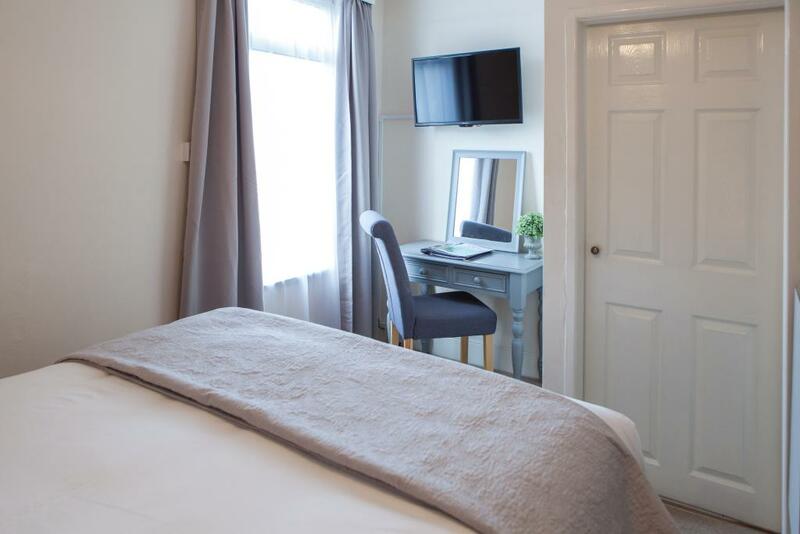 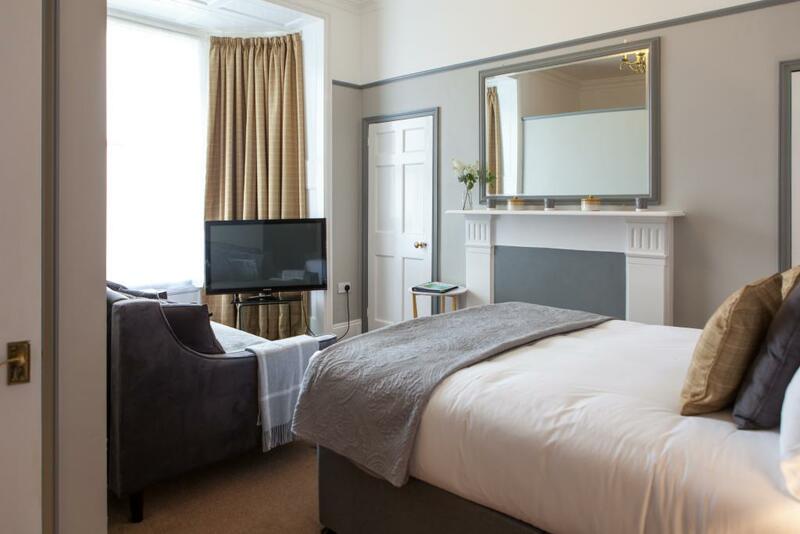 Room Facilities: Complimentary high speed WiFi, flat-screen TV with Freeview channels, USB 2.0 charging Port, Ironing facilities are available, heating, bath, hair dryer, complimentary luxury Anyah toiletries and hospitality tray. 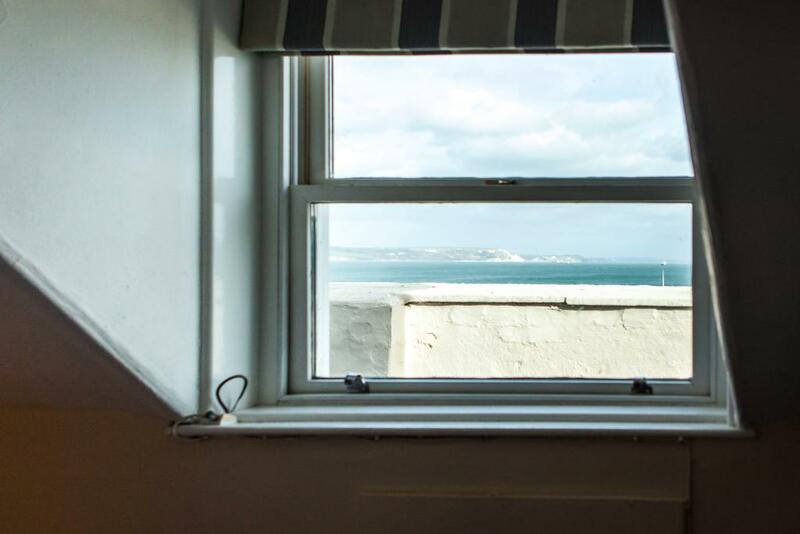 A view to remember…….. Our Sea View rooms overlook the great sheltered bay of Weymouth and the ever-shifting waves of the English Channel. 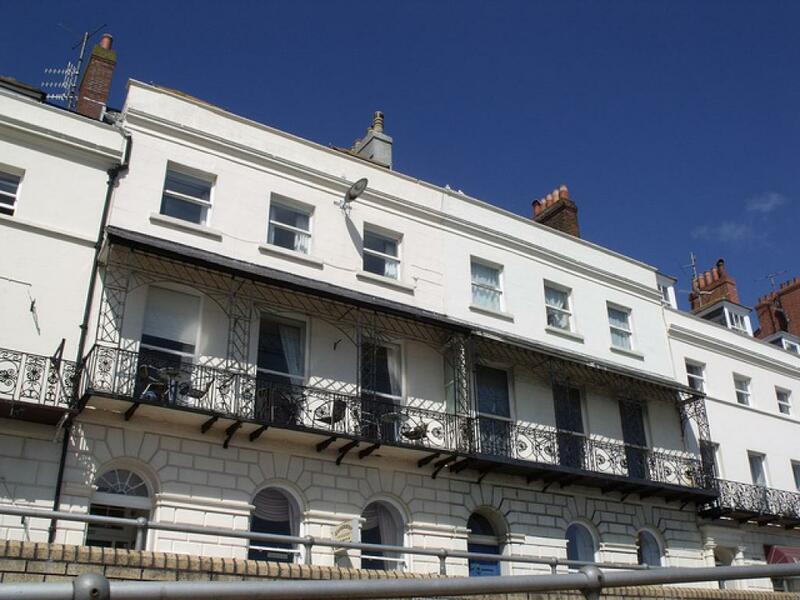 These rooms are neutrally decorated, has plenty of light, comfortable beds and also boasts an extraordinary view of the famous Weymouth sunset. 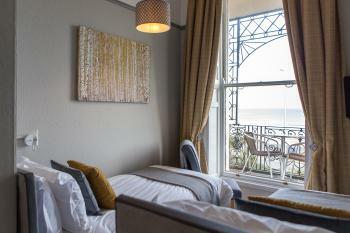 Our Premium Sea View single room accommodate one person, with a single bed. 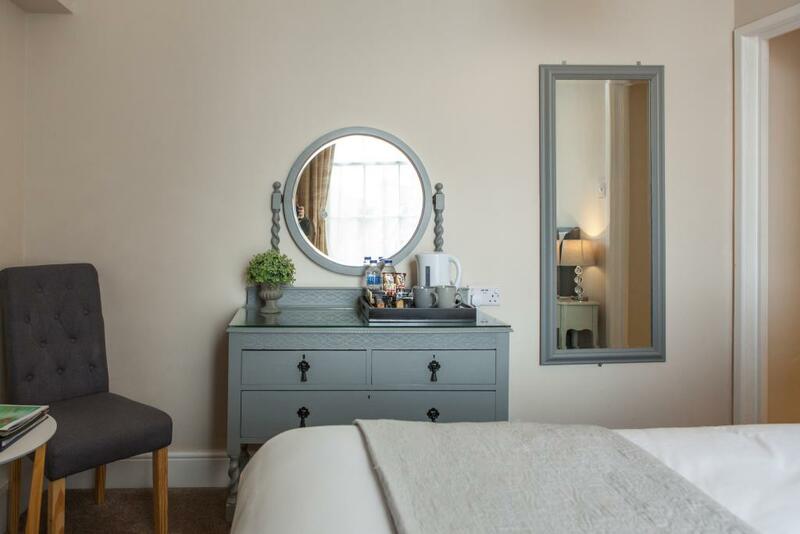 Our rooms are both comfortable and relaxing – with crisp white linen, plump pillows, well equipped bathrooms and a generous supply of tea, coffee and Dorset biscuits. 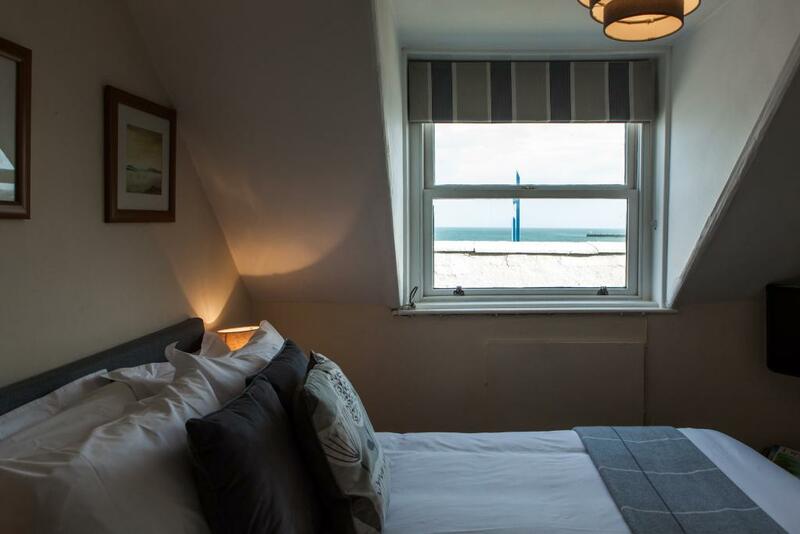 Our Inland View Rooms are perfect for those who'll get their sea-view fix by day, before returning to sleep in complete style and comfort. 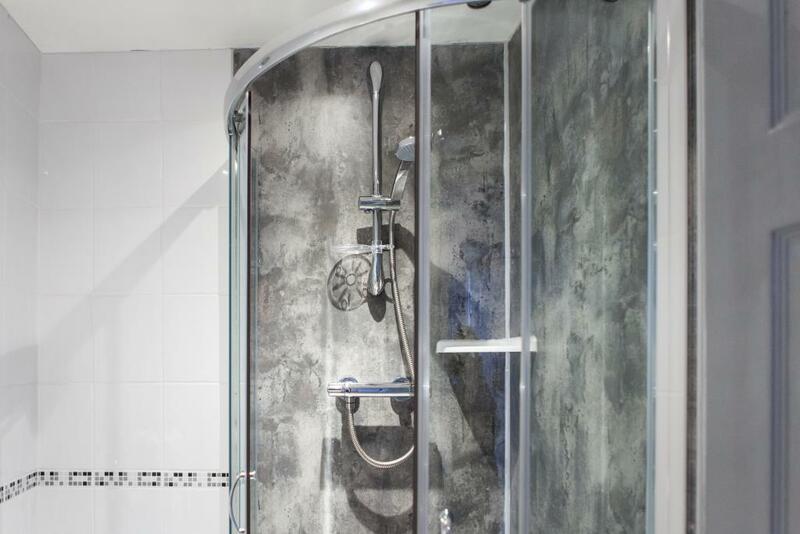 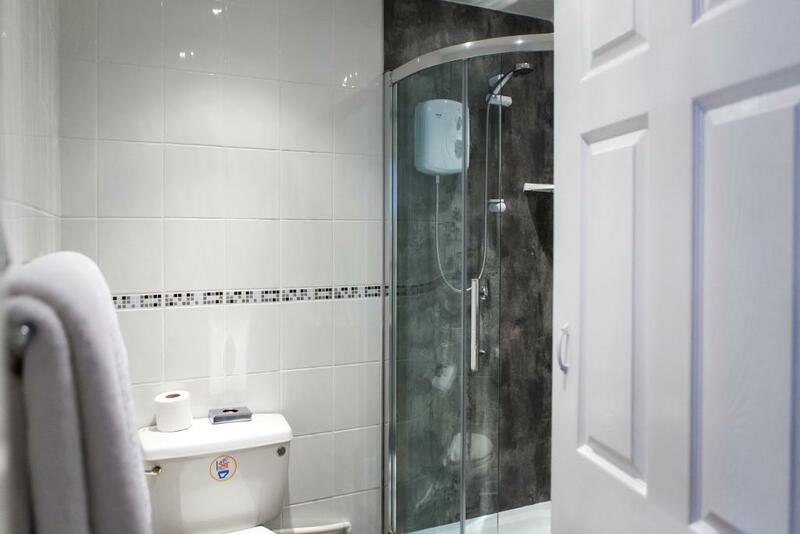 This room features an en-suite Shower room. 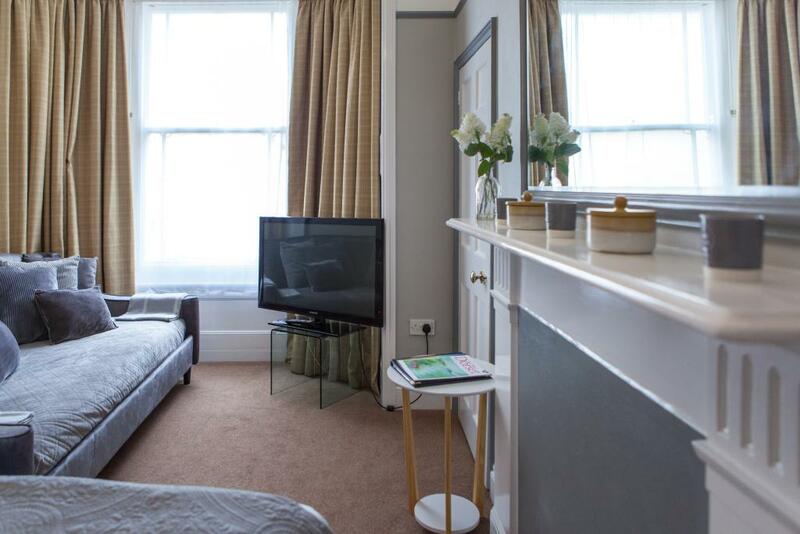 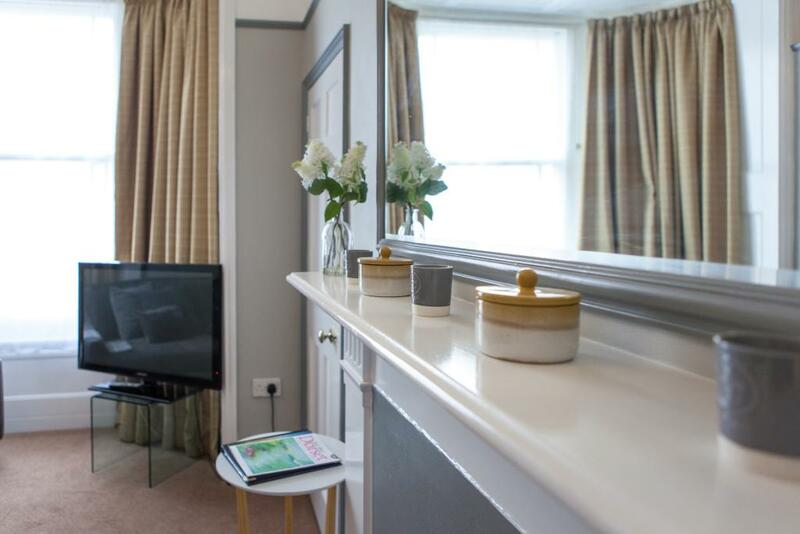 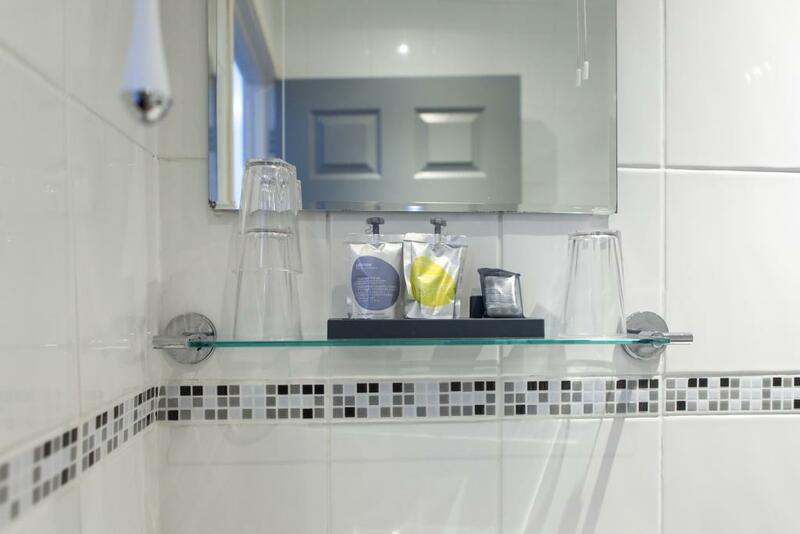 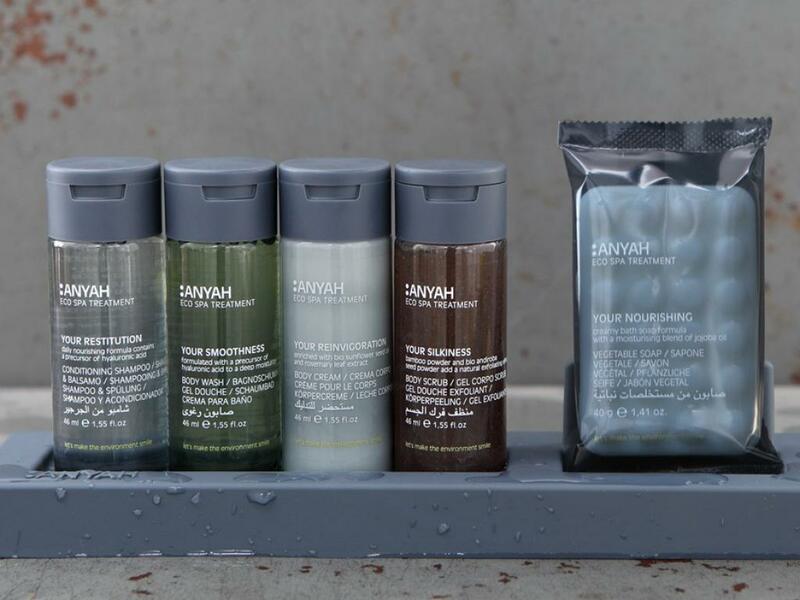 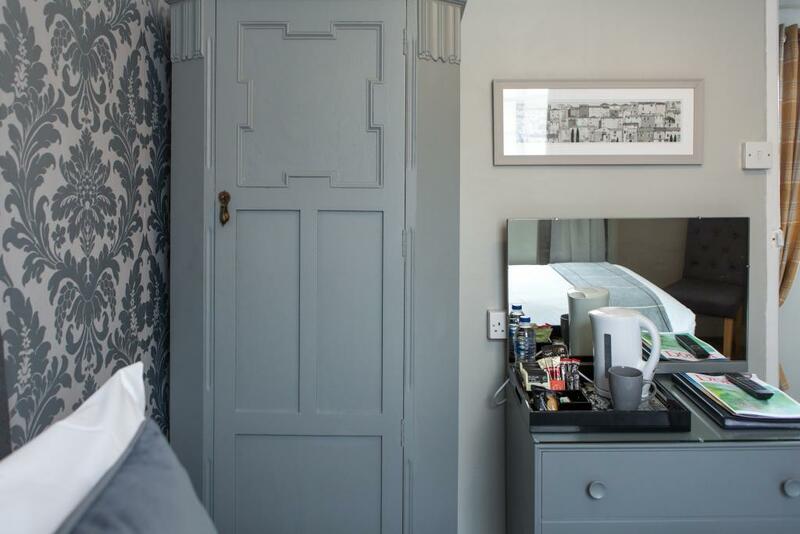 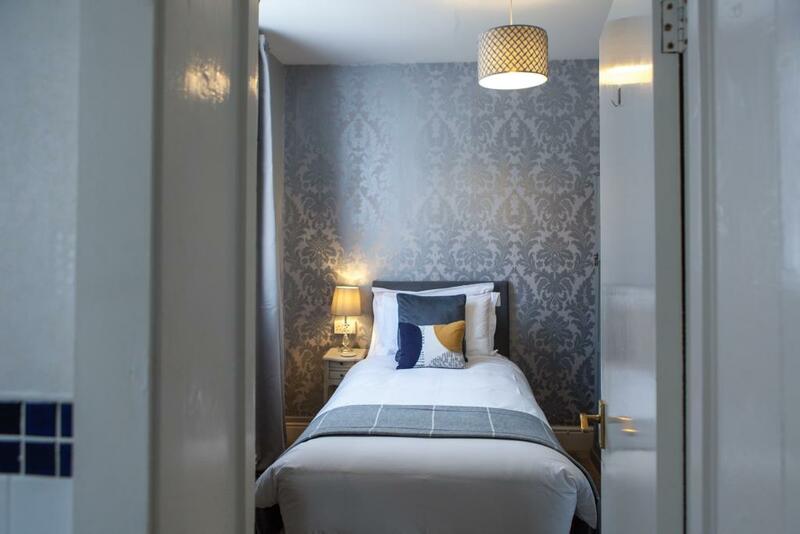 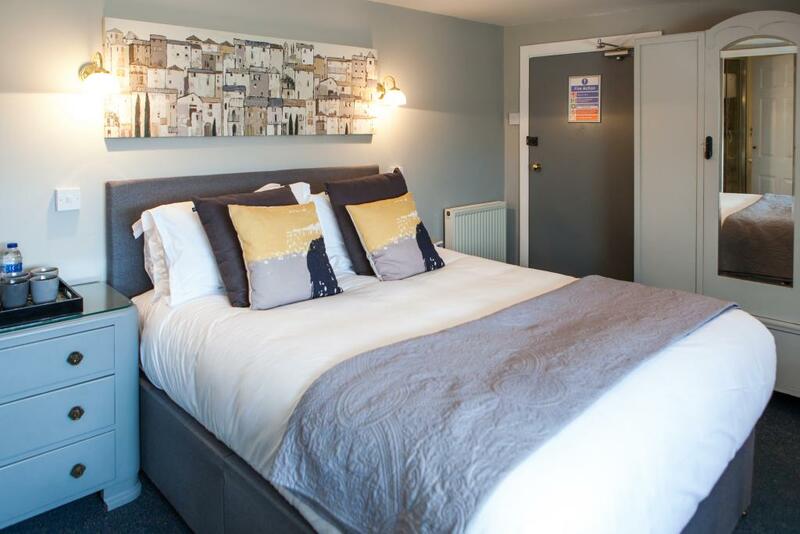 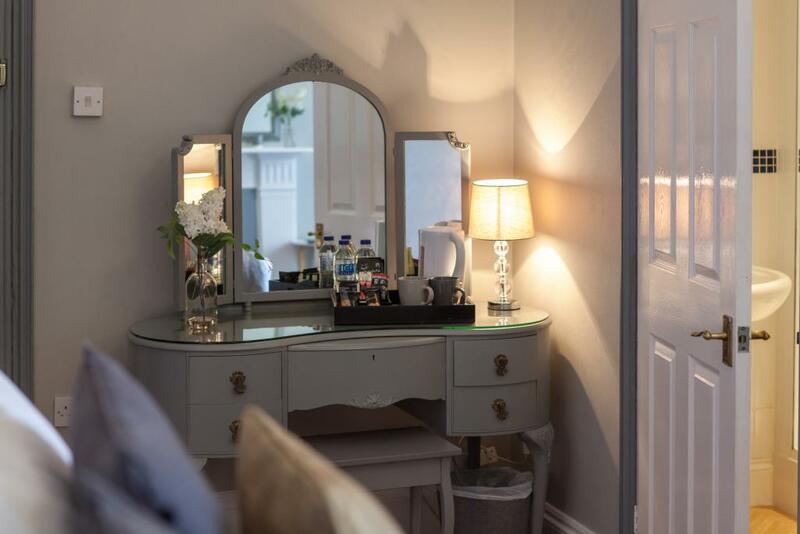 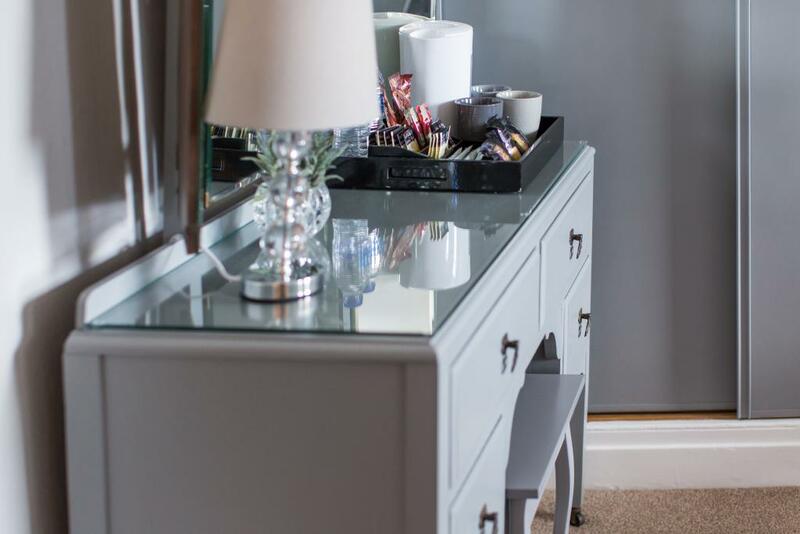 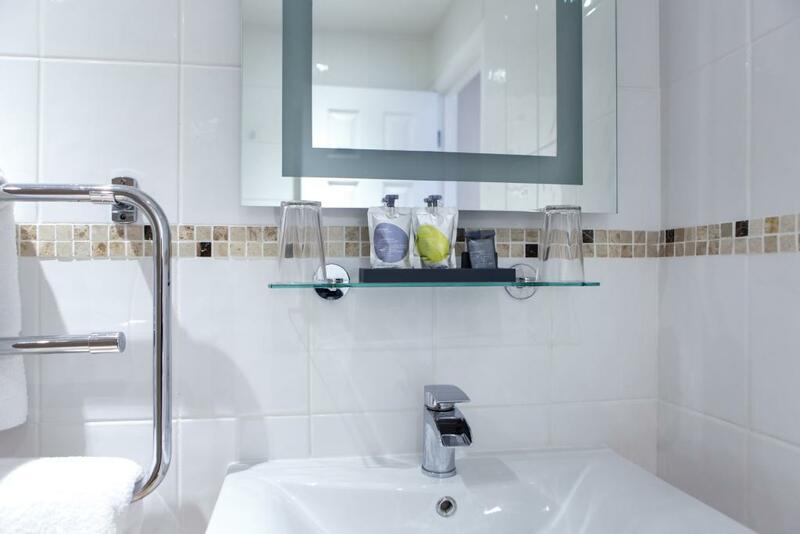 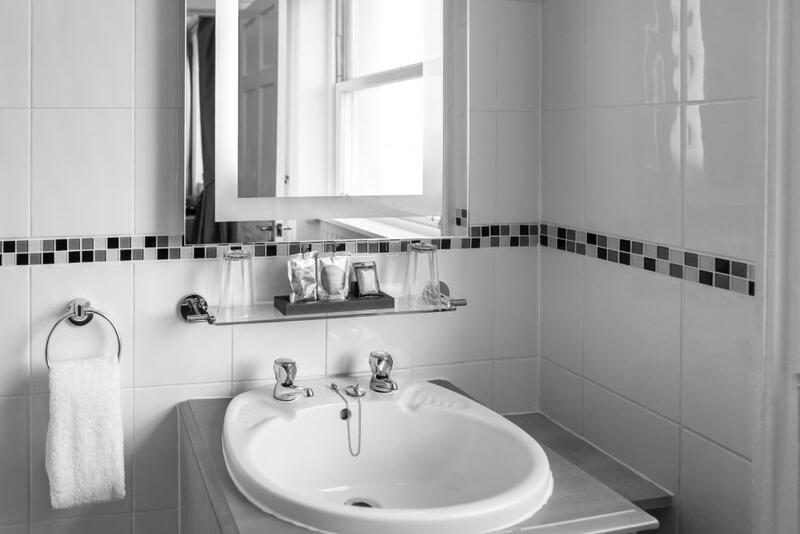 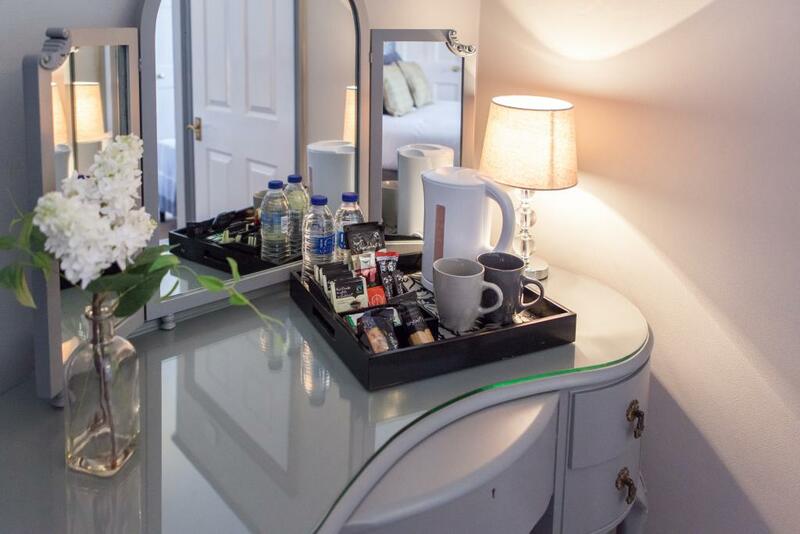 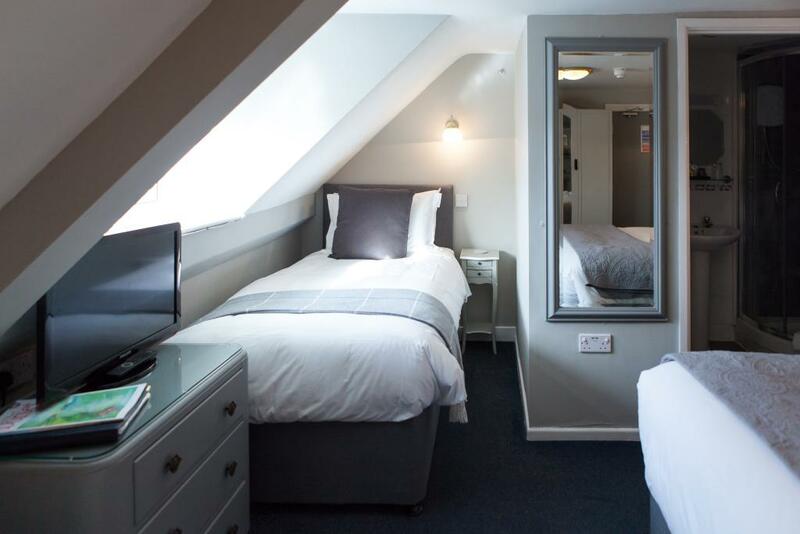 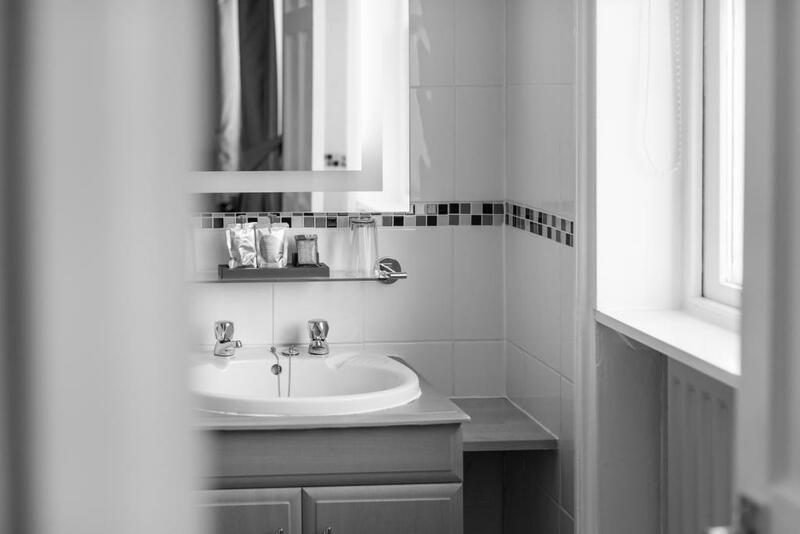 Room Facilities: Private Balcony, Complimentary high speed WiFi, flat-screen TV with Freeview channels, USB 2.0 charging Port, Ironing facilities are available, heating, bath, hair dryer, complimentary luxury Anyah toiletries and hospitality tray. 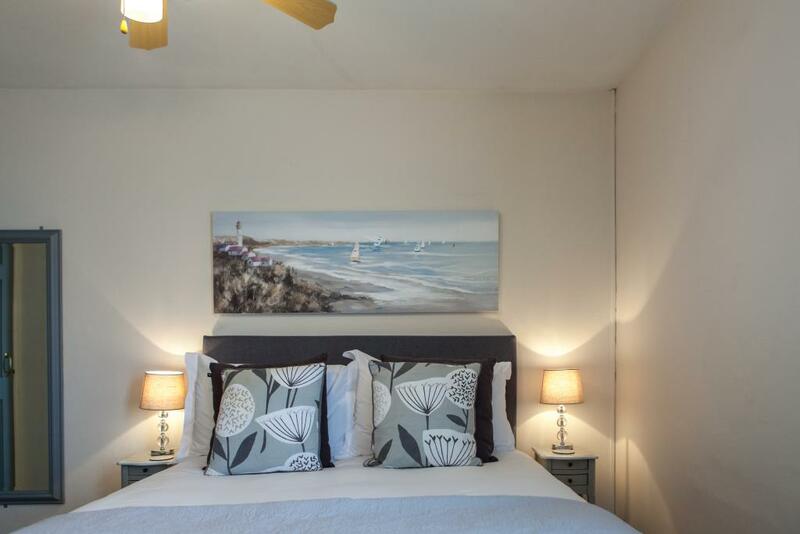 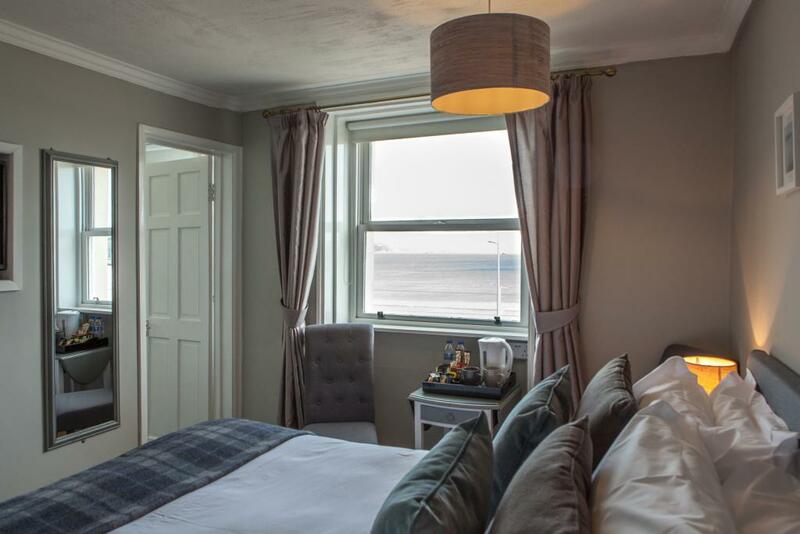 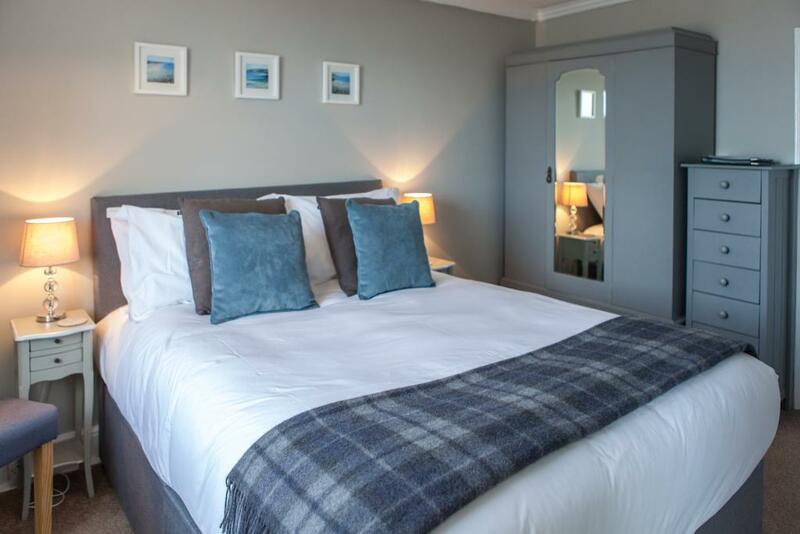 Our Inland View Classic Double Rooms are perfect for those who'll get their sea-view fix by day, before returning to sleep in complete style and comfort. 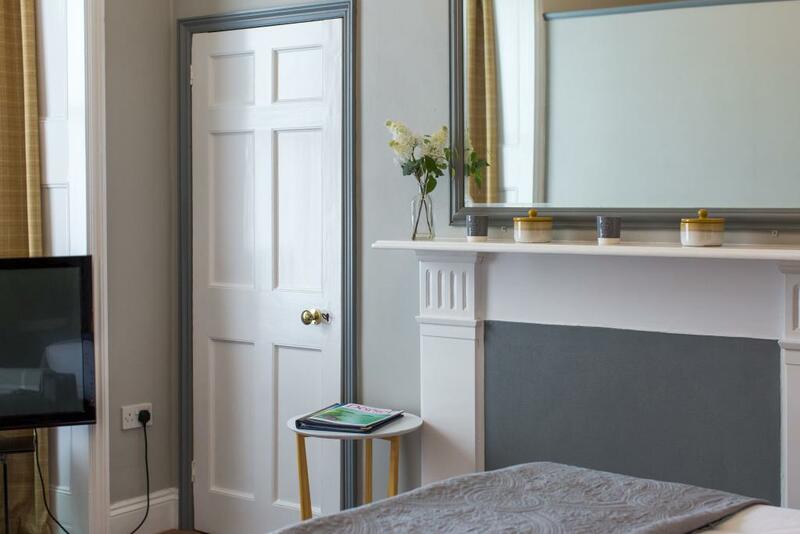 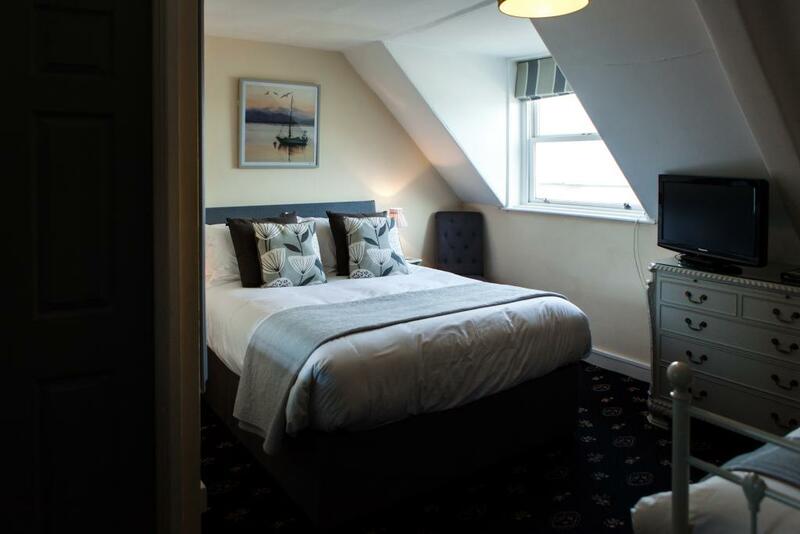 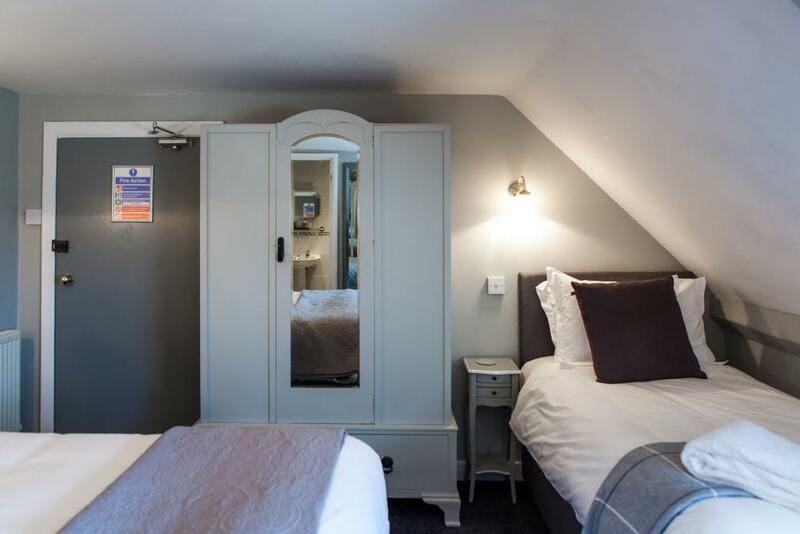 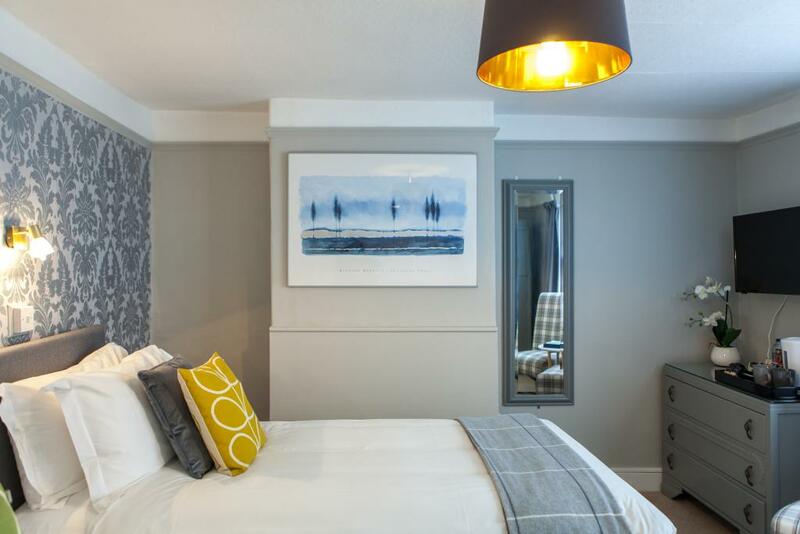 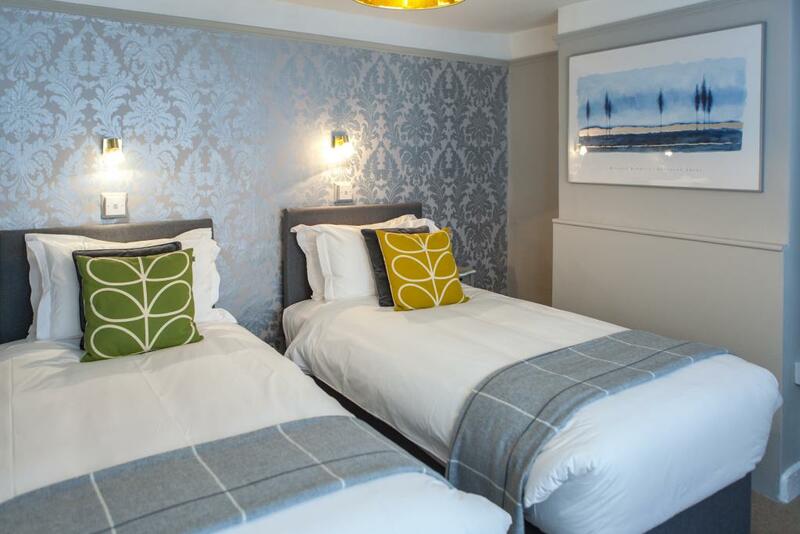 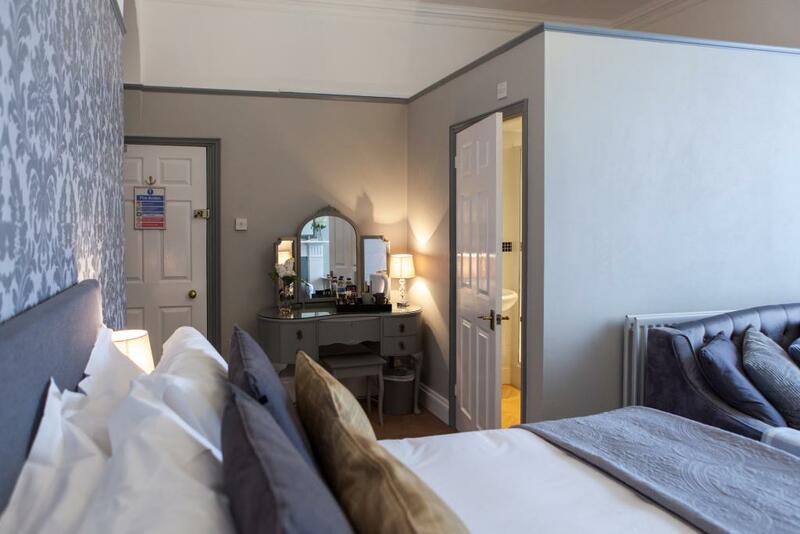 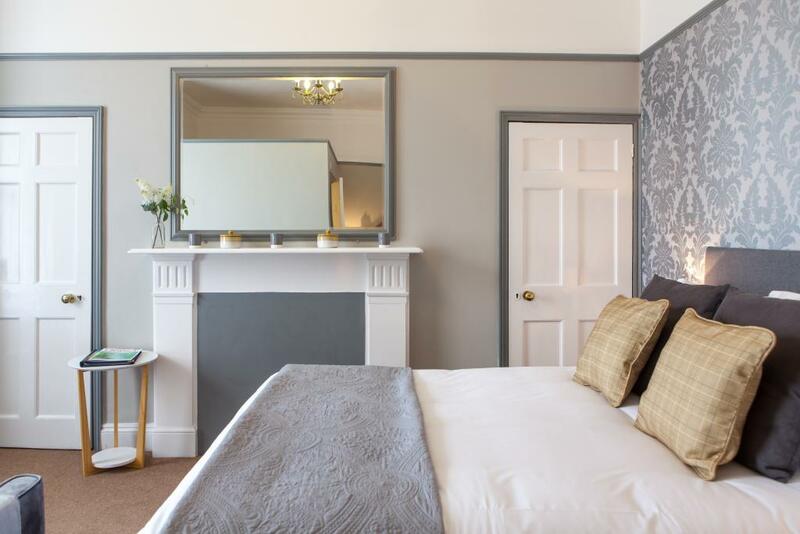 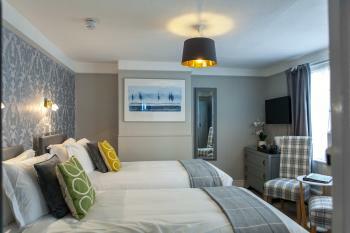 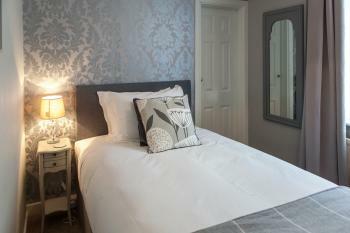 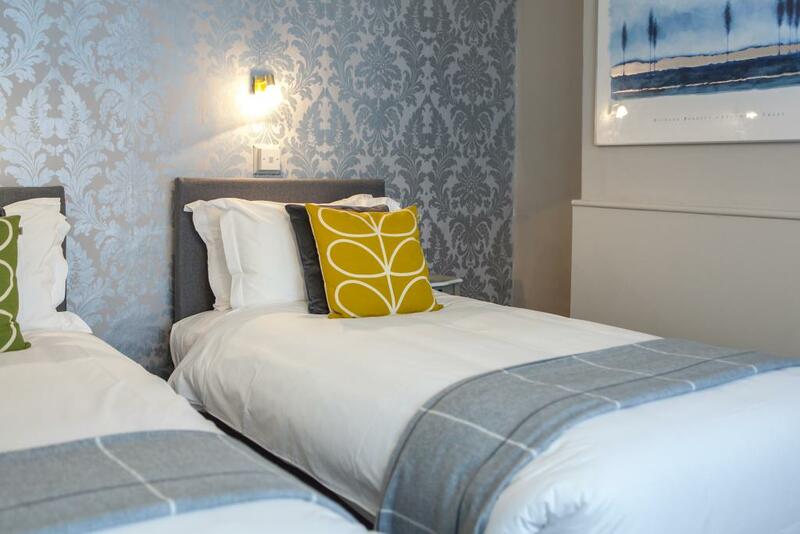 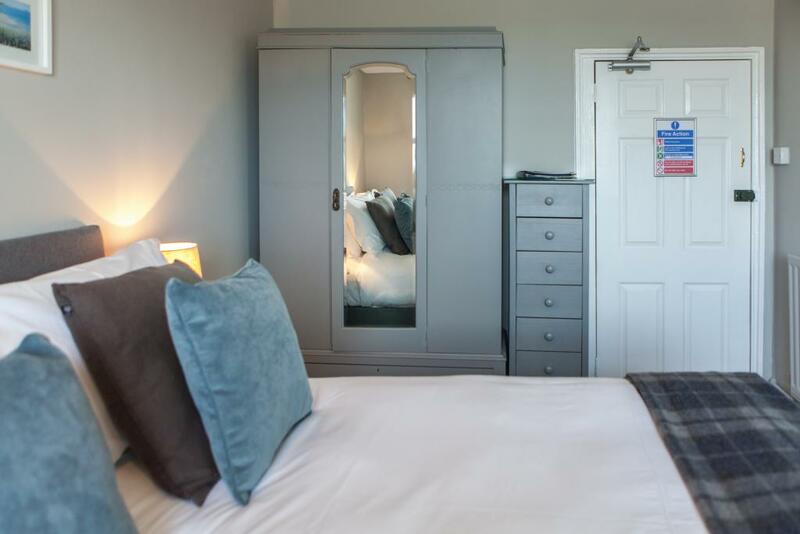 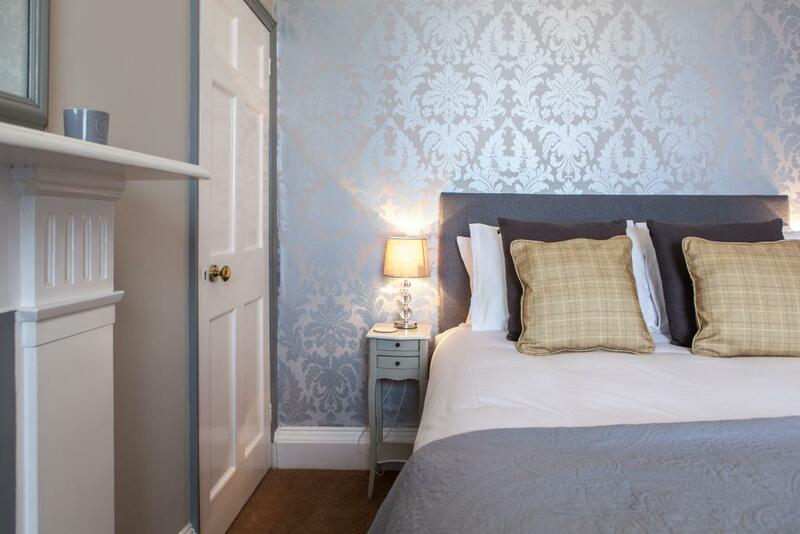 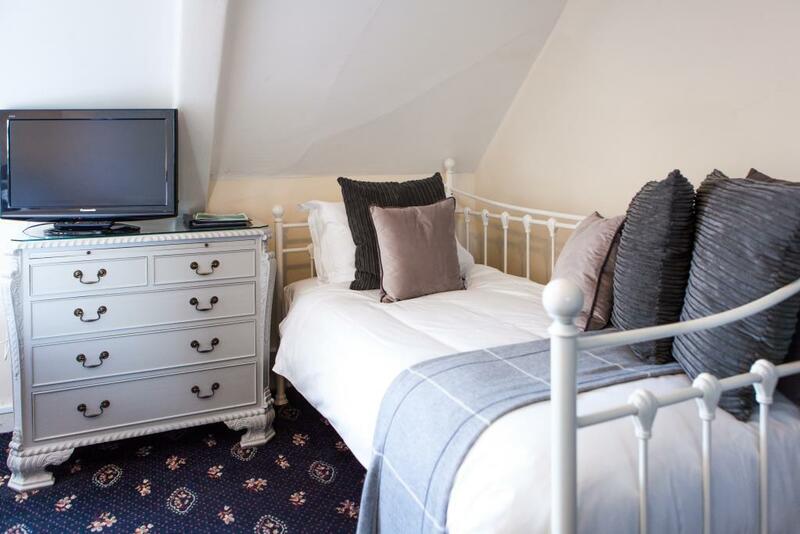 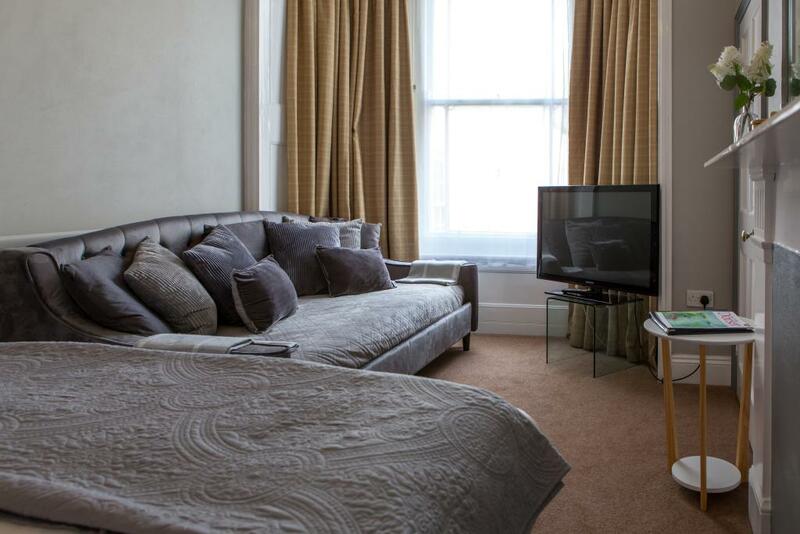 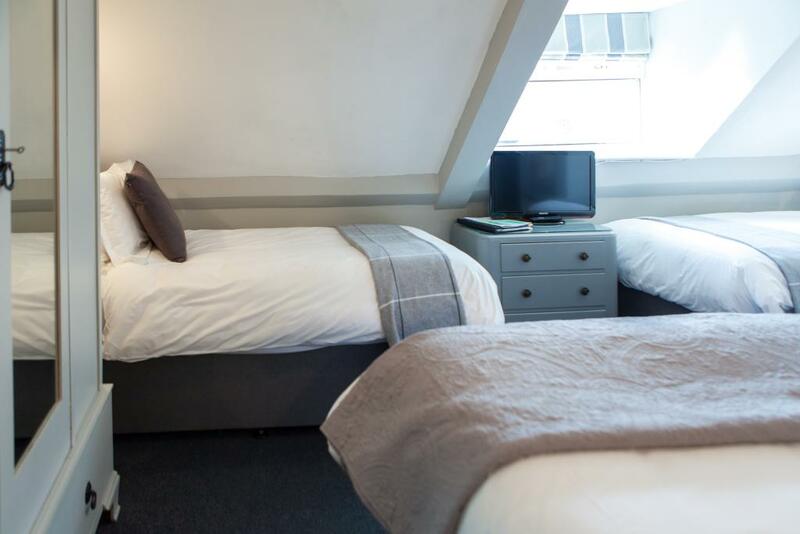 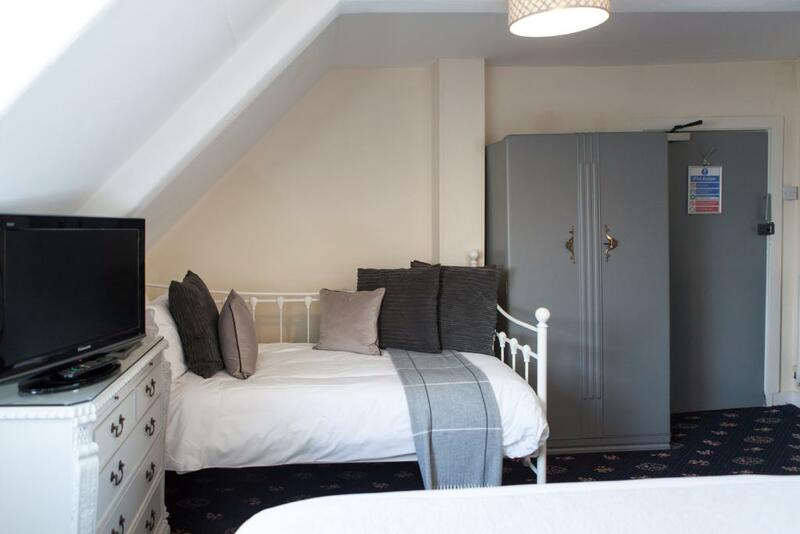 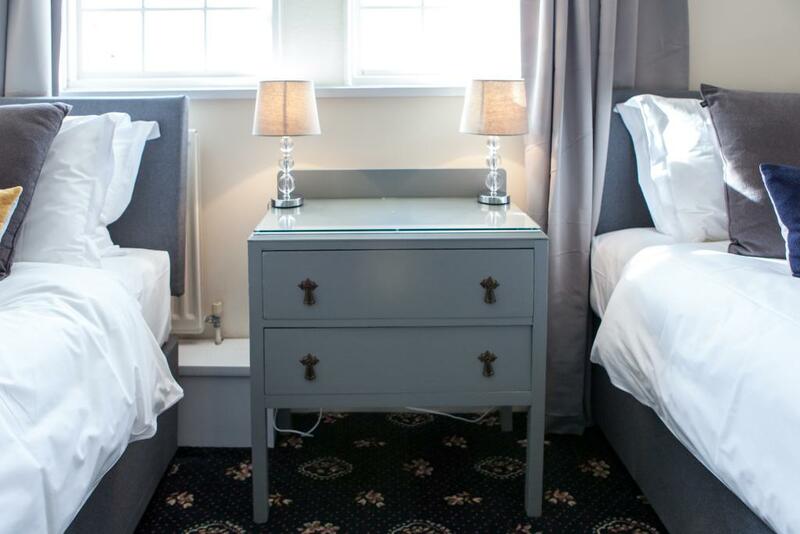 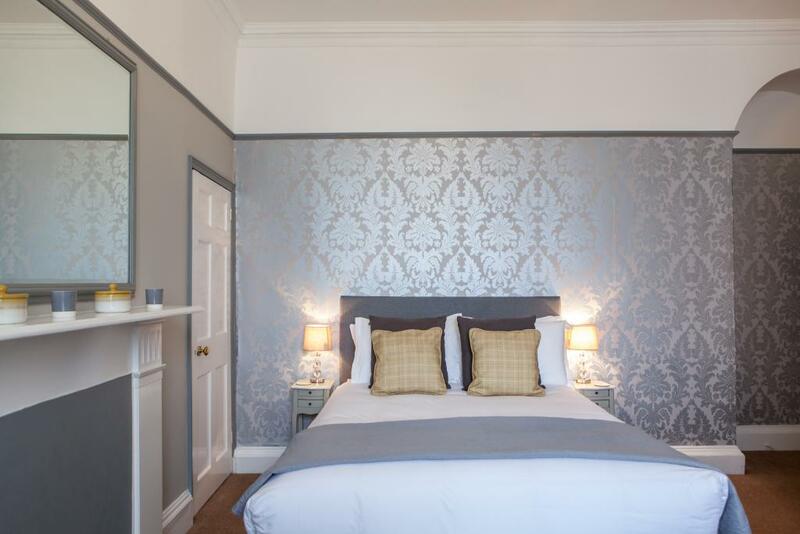 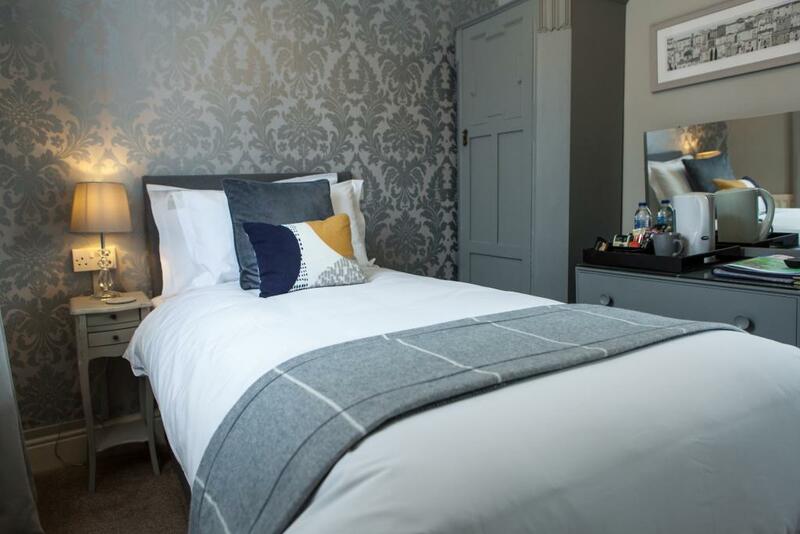 Our Classic Double rooms accommodate two people, with a Double Bed. 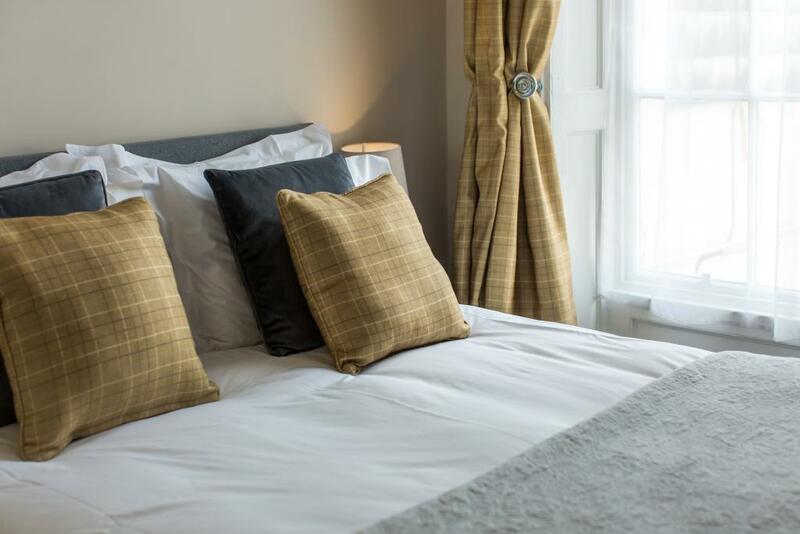 Our rooms are both comfortable and relaxing – with crisp white linen, plump pillows, well equipped bathrooms and a generous supply of tea, coffee and Dorset biscuits. 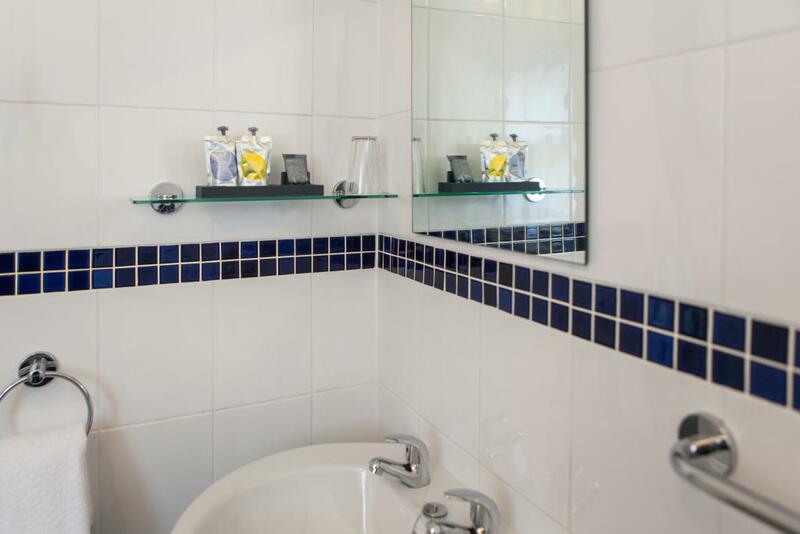 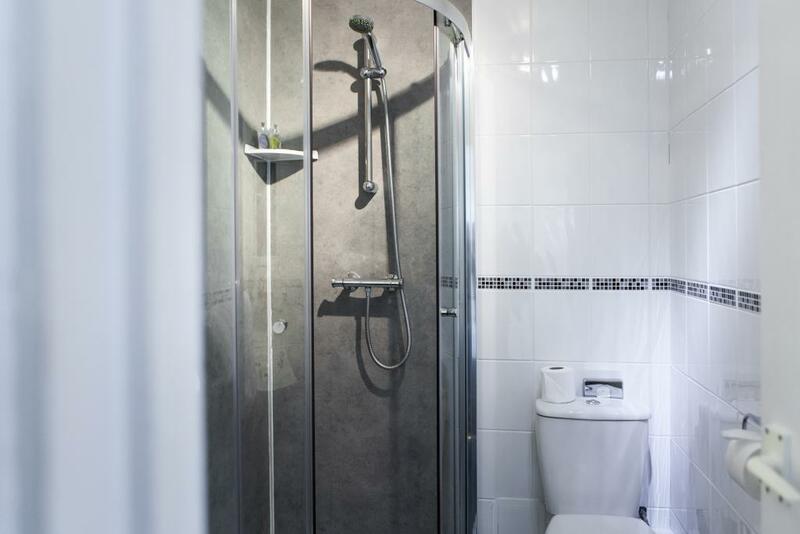 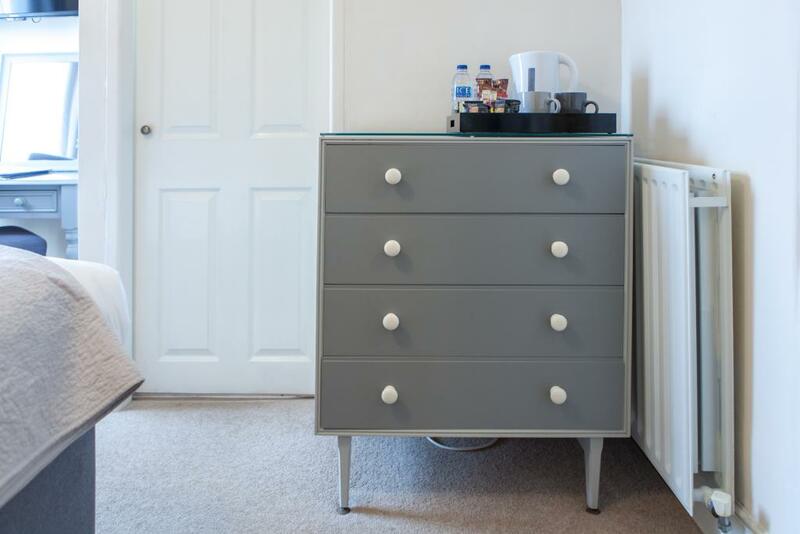 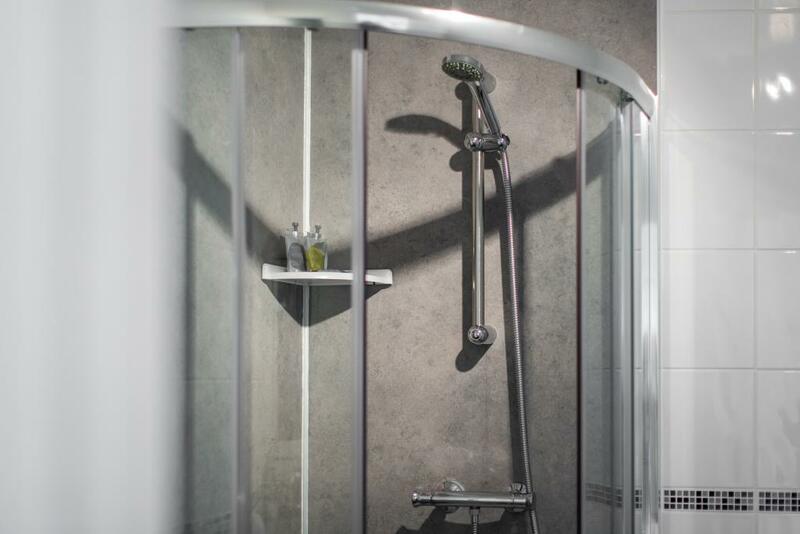 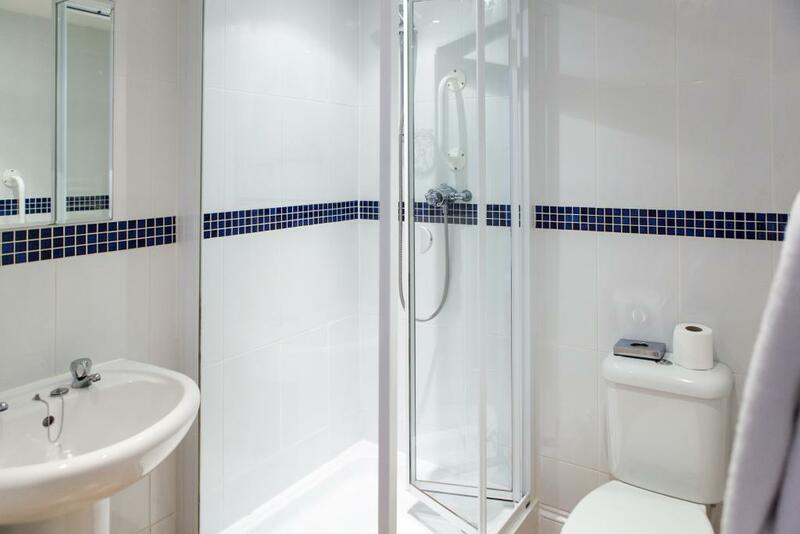 These rooms feature an en-suite Shower room. 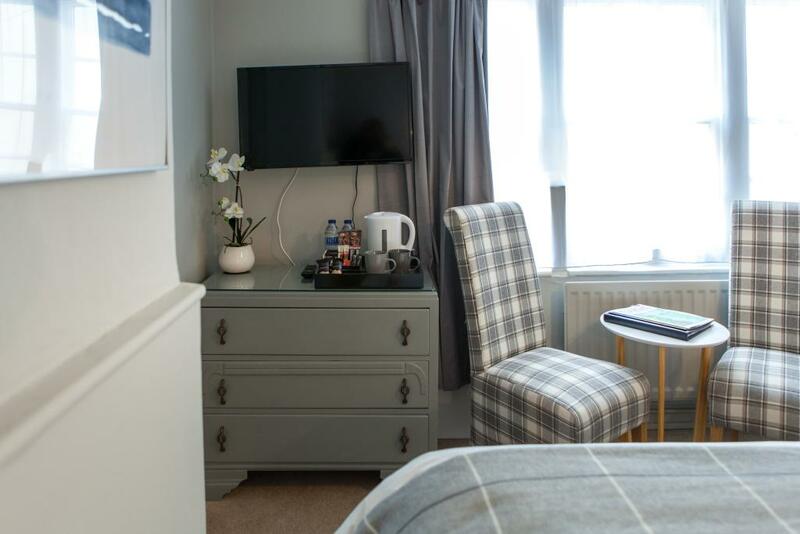 Room Facilities: Complimentary high speed WiFi, flat-screen TV with Freeview channels, USB 2.0 charging Port, Ironing facilities are available, heating, bath, hair dryer, complimentary luxury Anyah toiletries and hospitality tray. 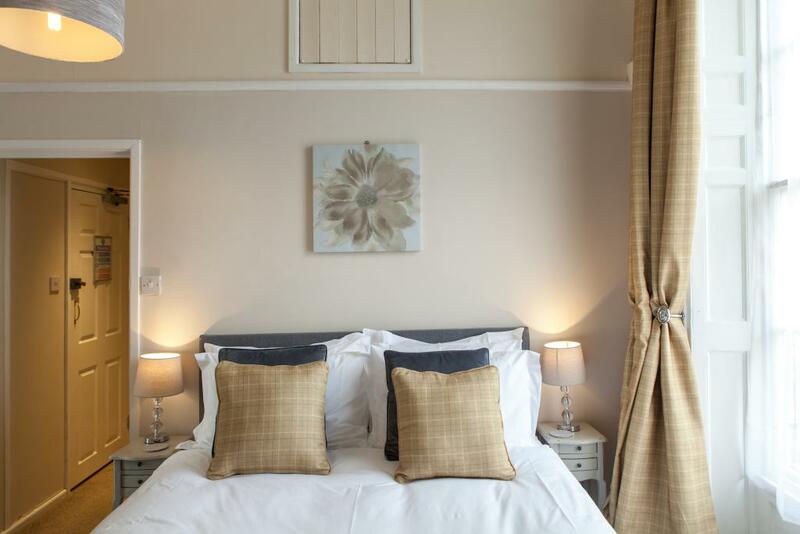 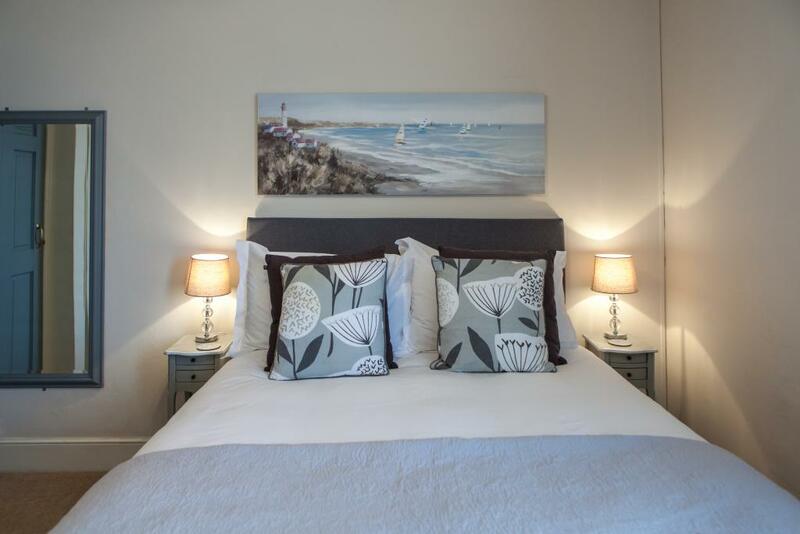 Our Classic Twin Bedroom accommodates two people, with two single beds. 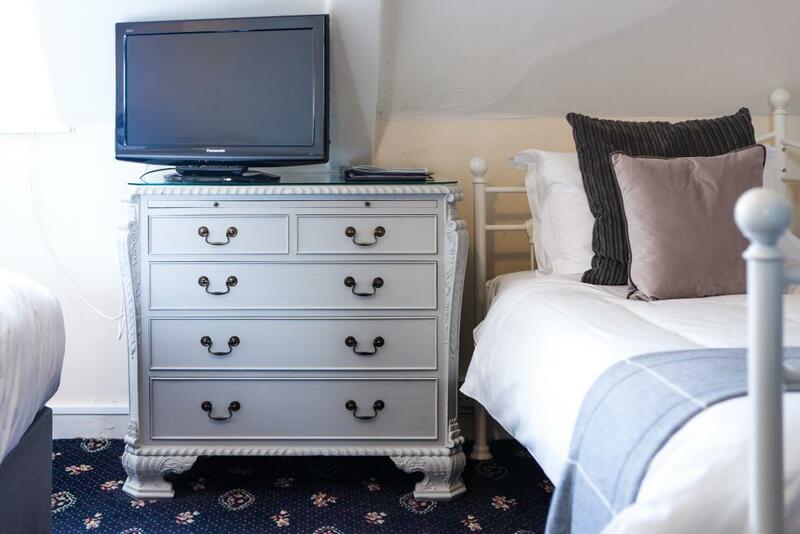 Our rooms are both comfortable and relaxing – with crisp white linen, plump pillows, well equipped bathrooms and a generous supply of tea, coffee and Dorset biscuits. 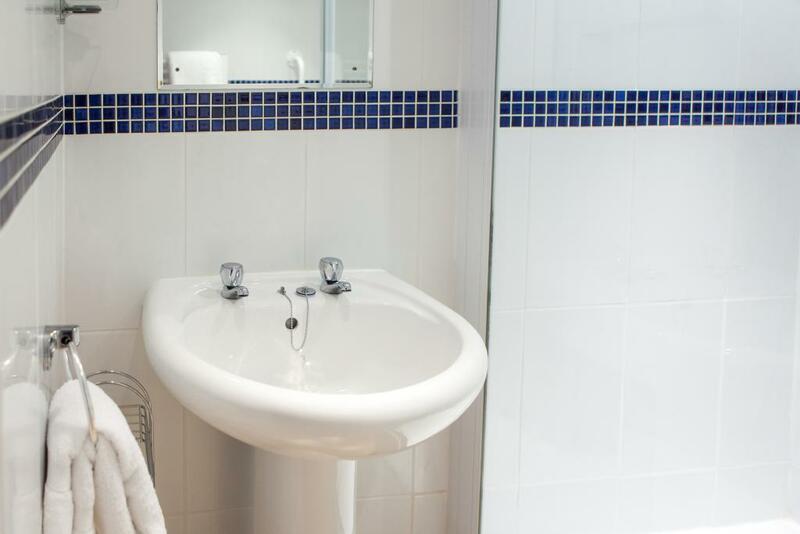 Our Inland View Rooms are perfect for those who'll get their sea-view fix by day, before returning to sleep in complete style and comfort.This room features an en-suite Shower room. 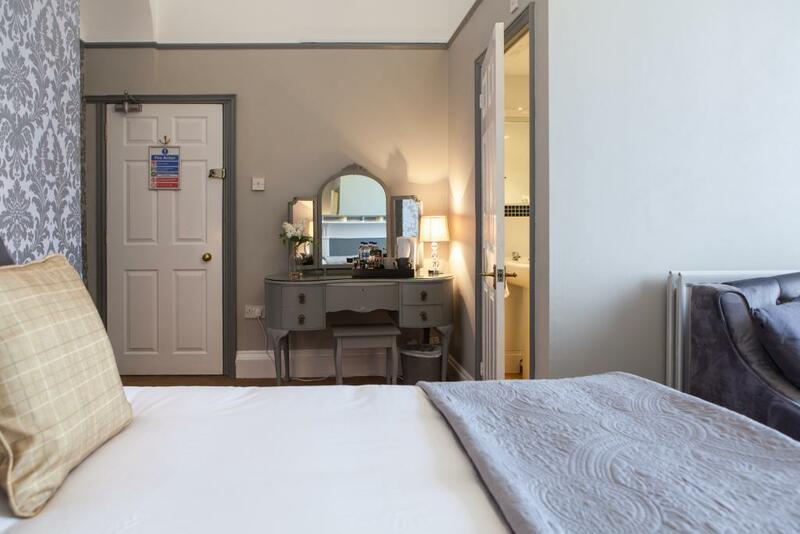 Room Facilities: Complimentary high speed WiFi, flat-screen TV with Freeview channels, USB 2.0 charging Port, Ironing facilities are available, heating, bath, hair dryer, complimentary luxury Anyah toiletries and hospitality tray. 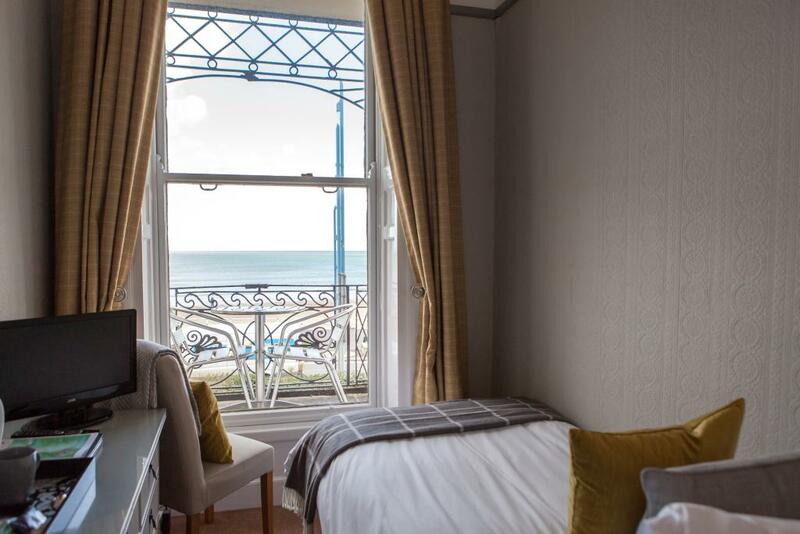 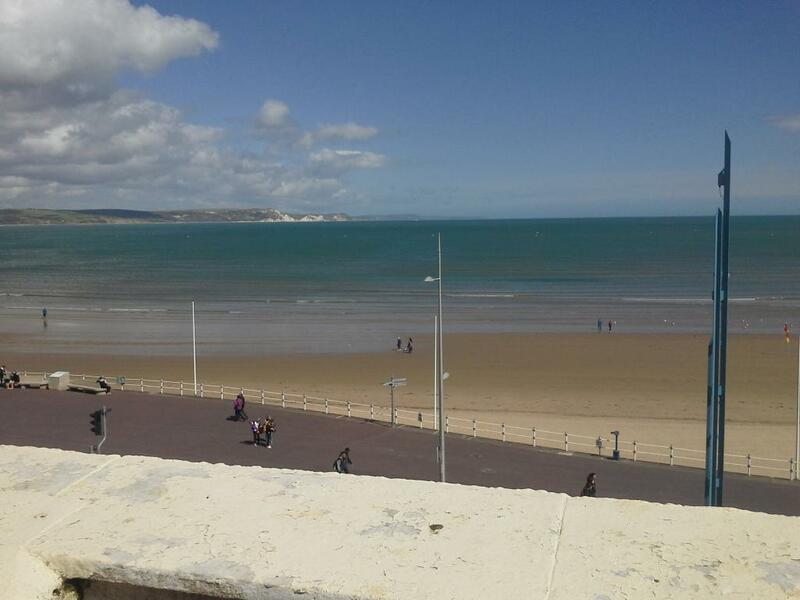 A view to remember…….. Our Premium Sea View rooms with private balcony, overlook the great sheltered bay of Weymouth and the ever-shifting waves of the English Channel. 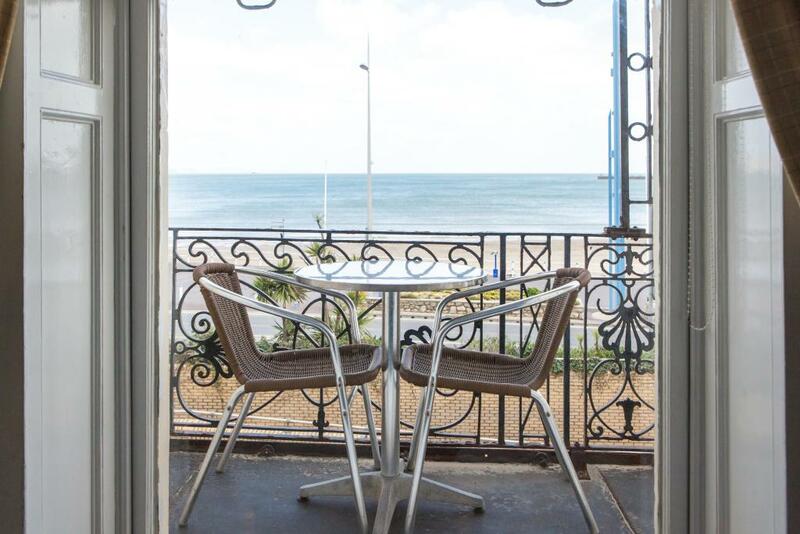 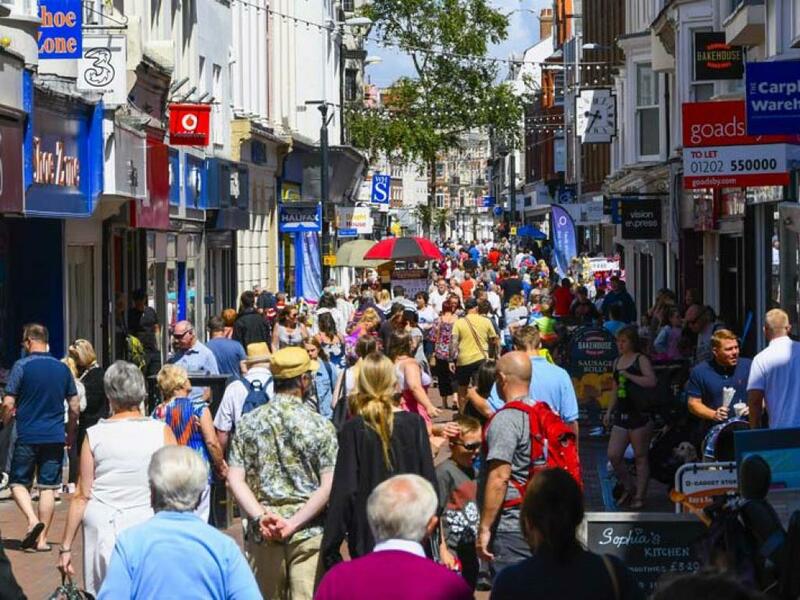 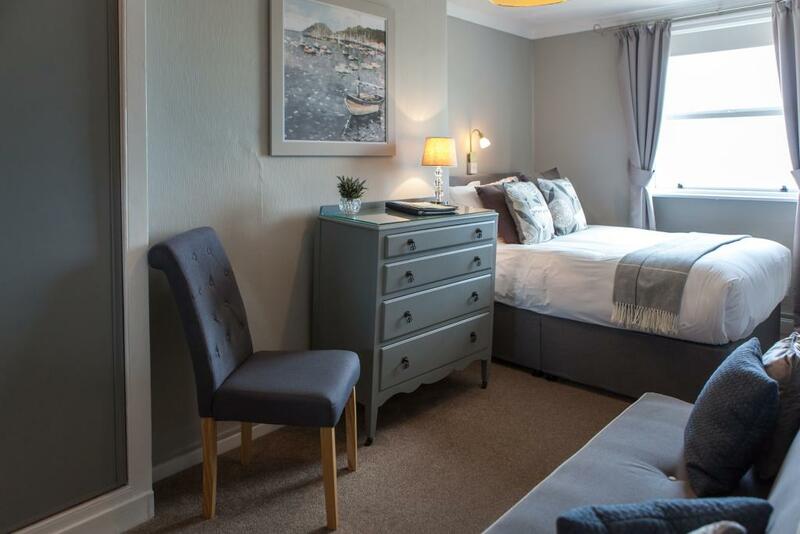 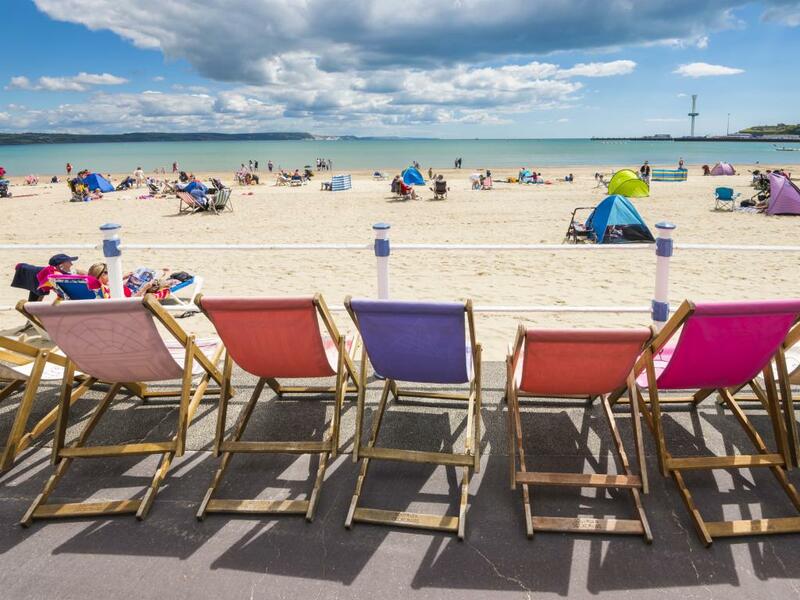 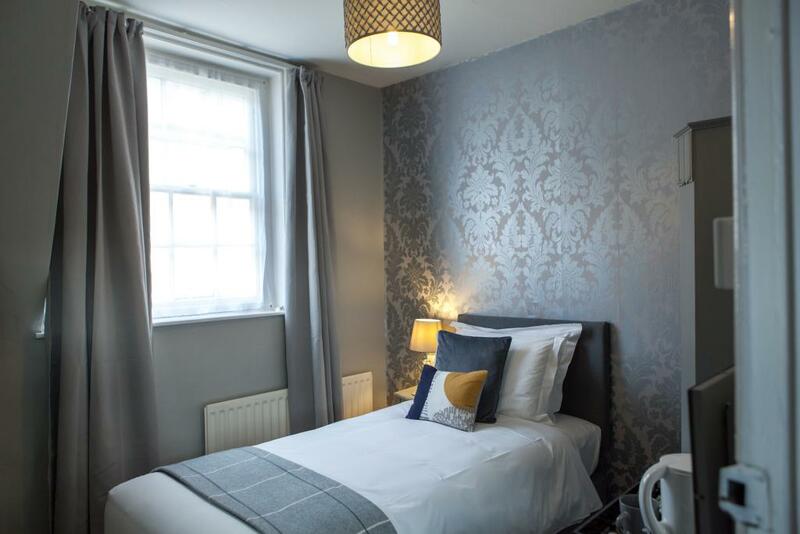 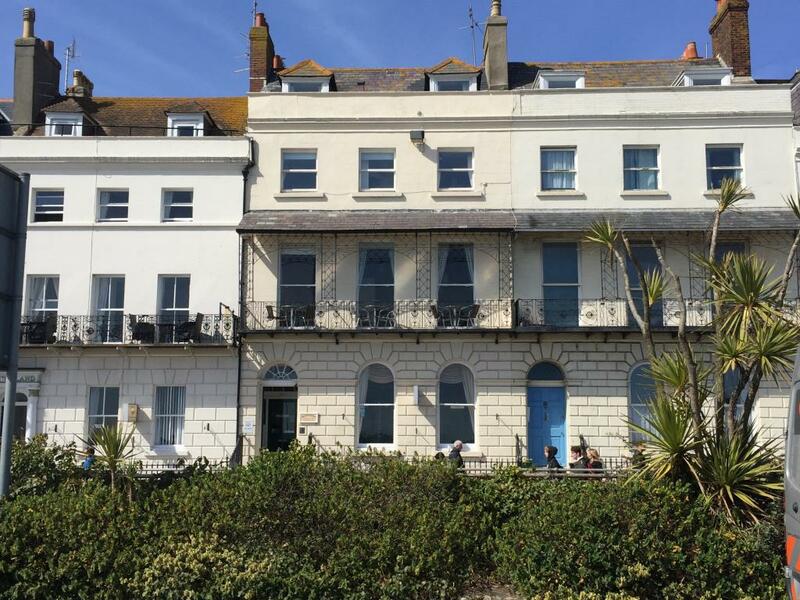 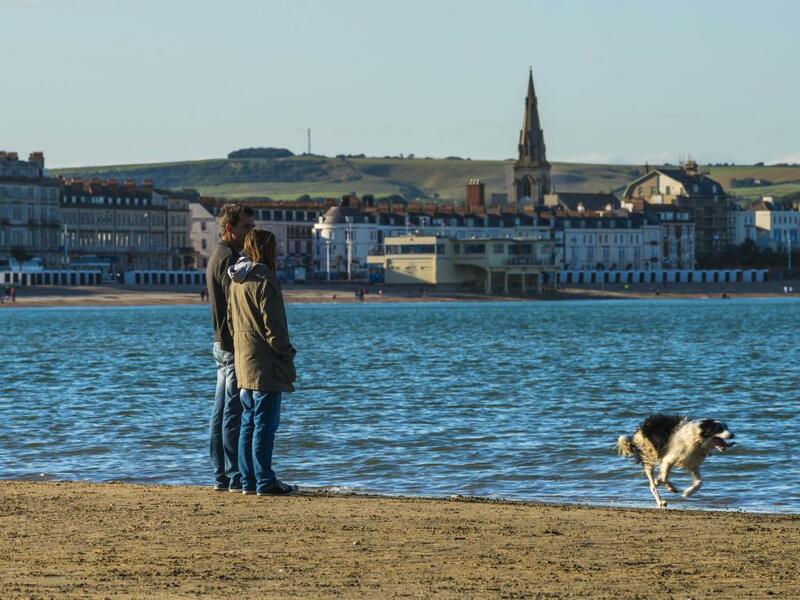 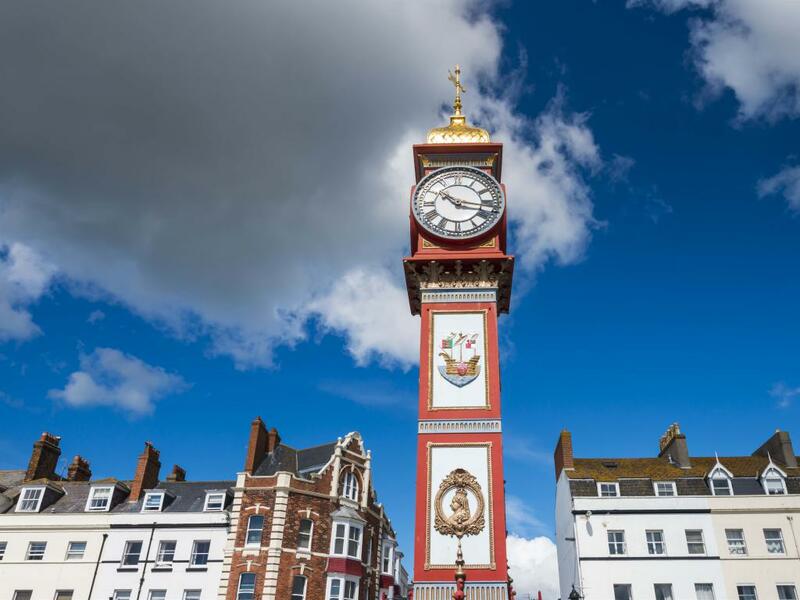 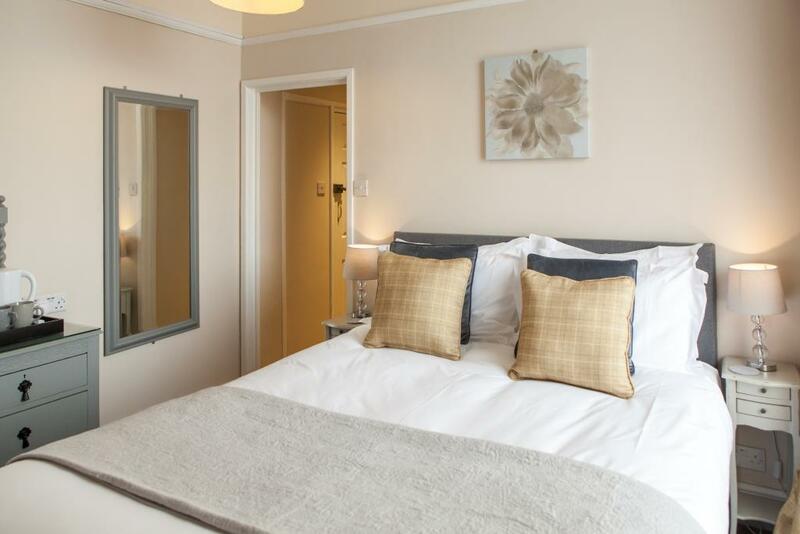 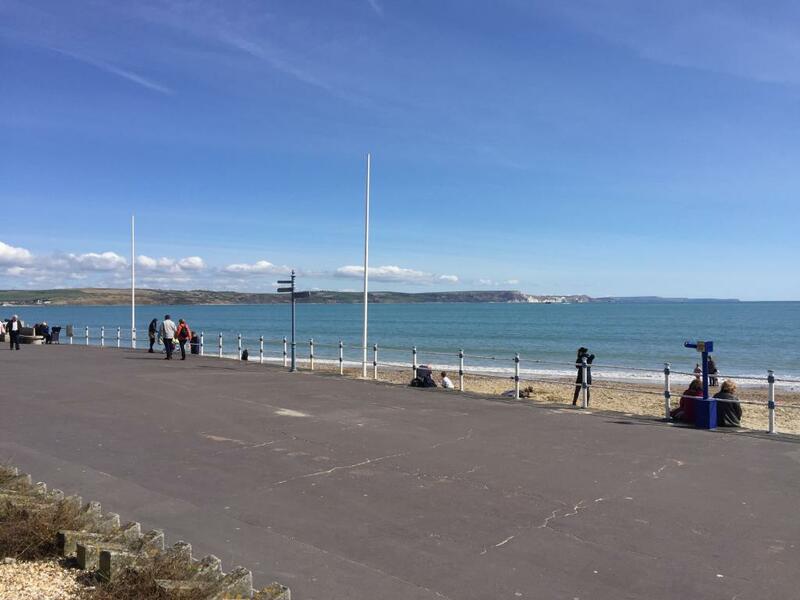 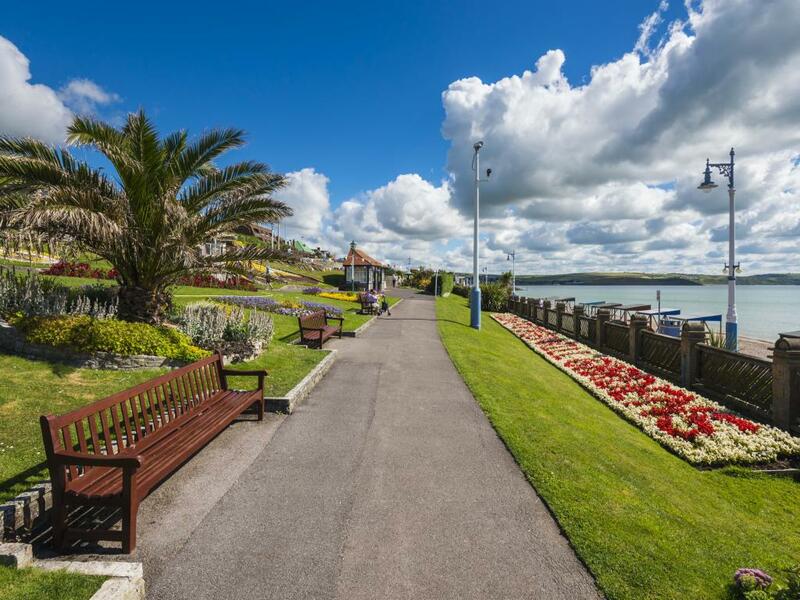 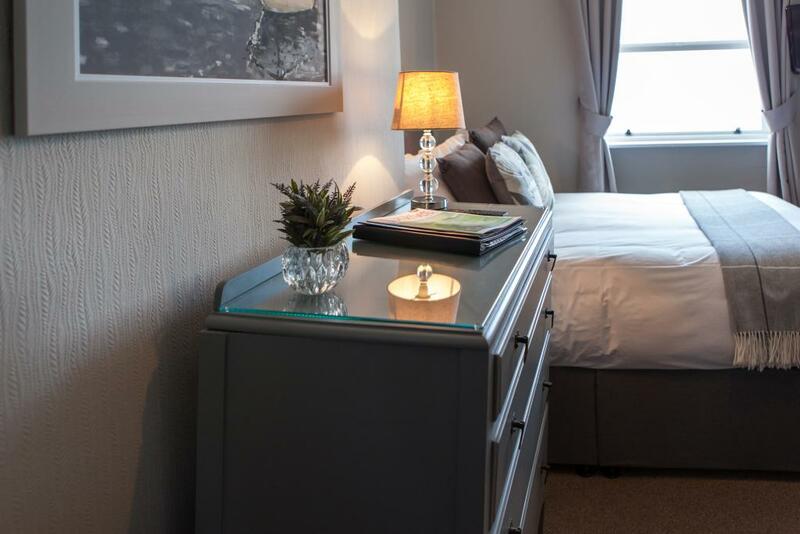 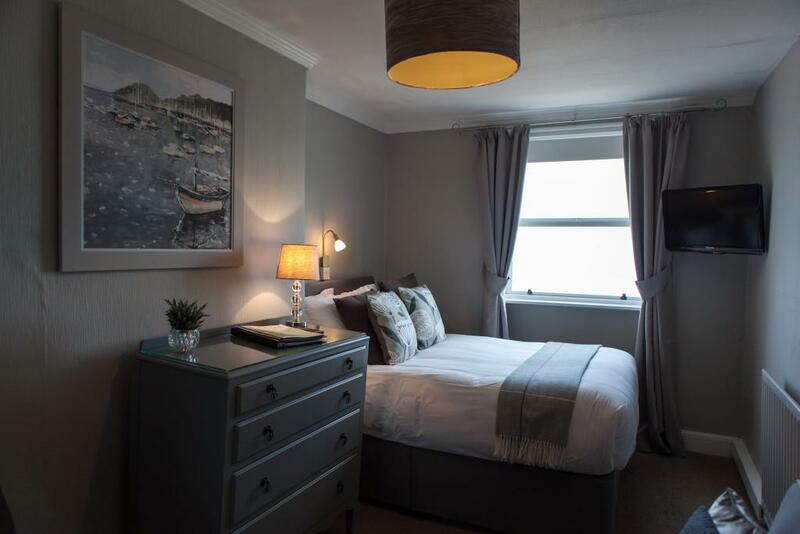 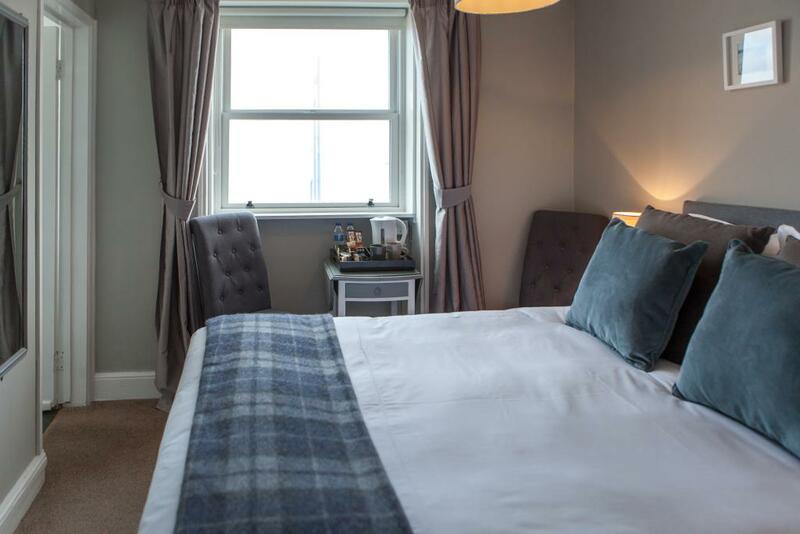 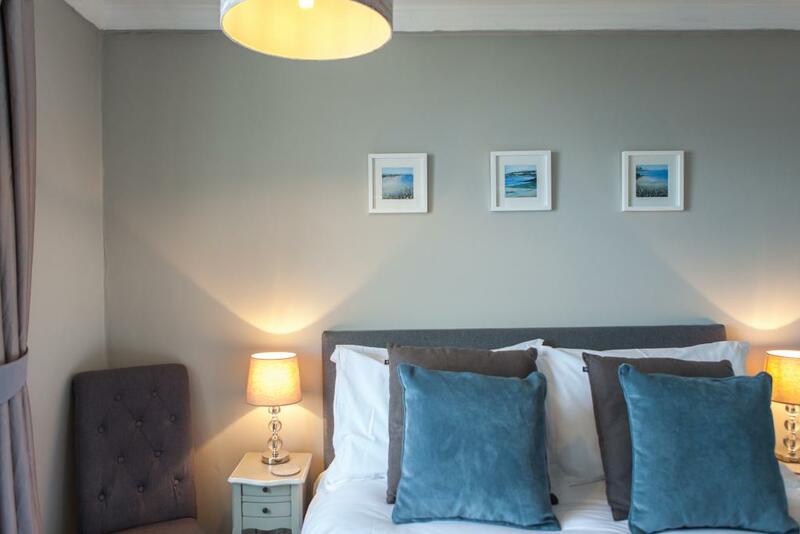 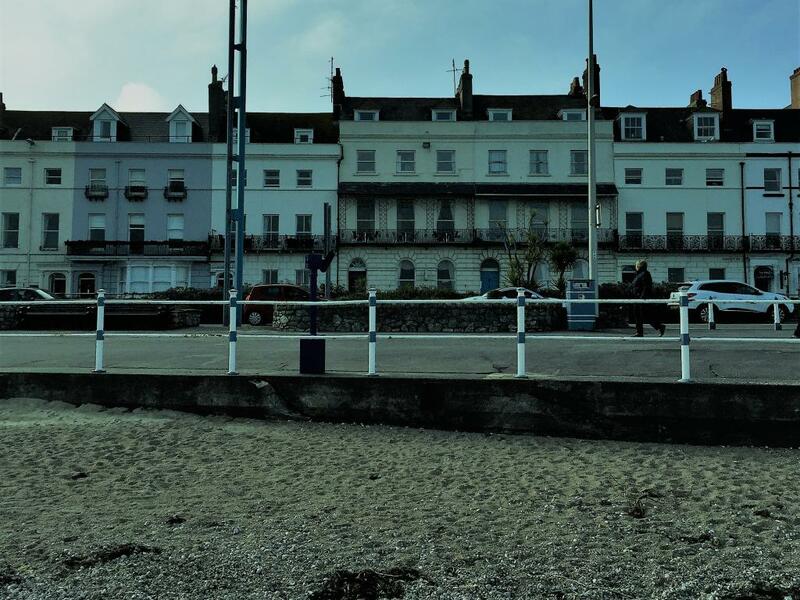 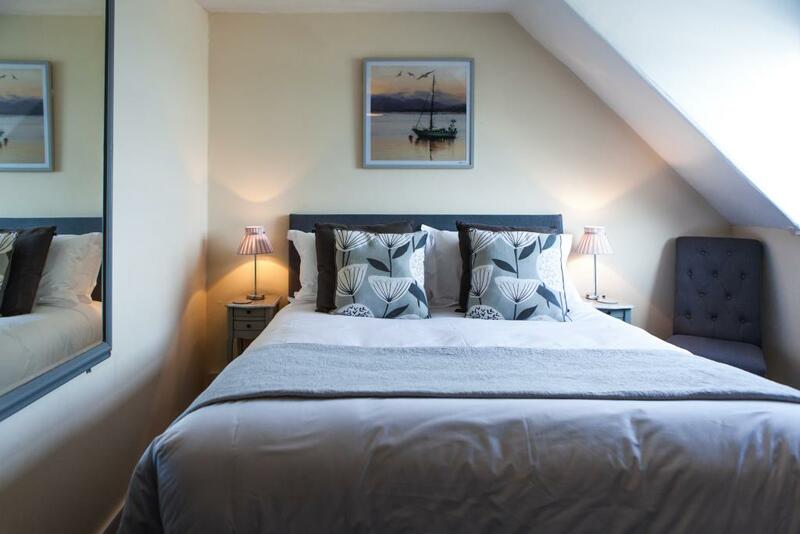 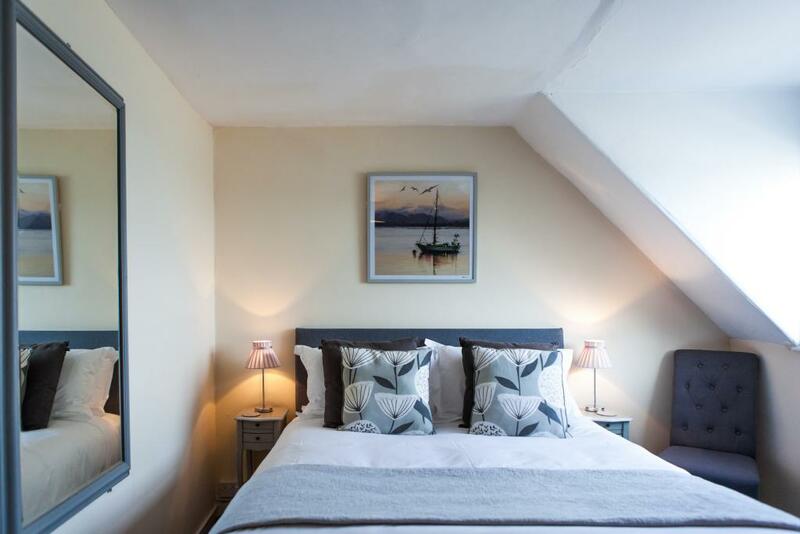 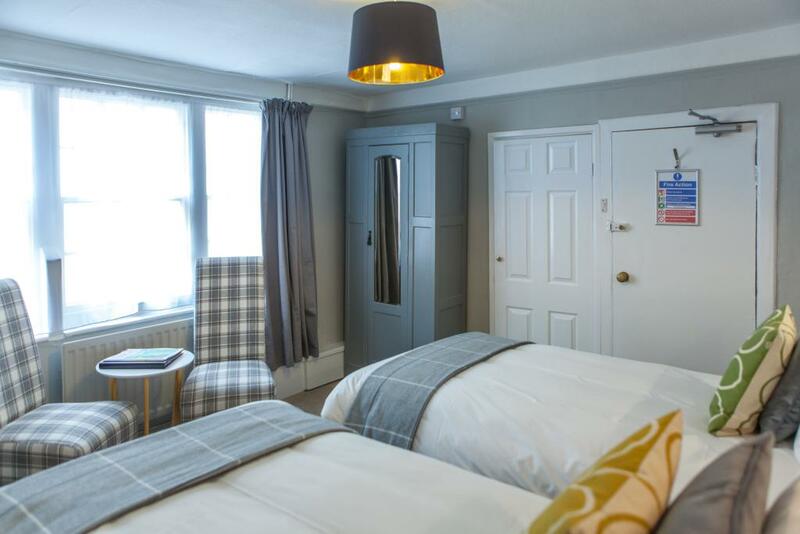 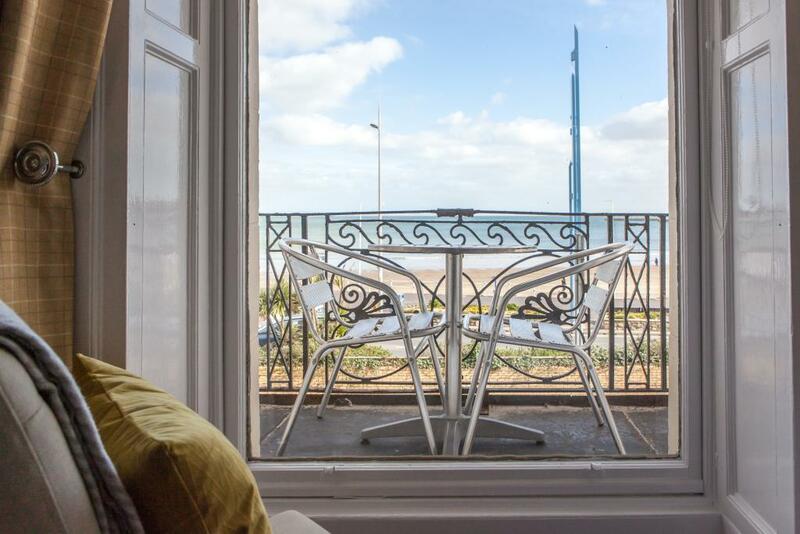 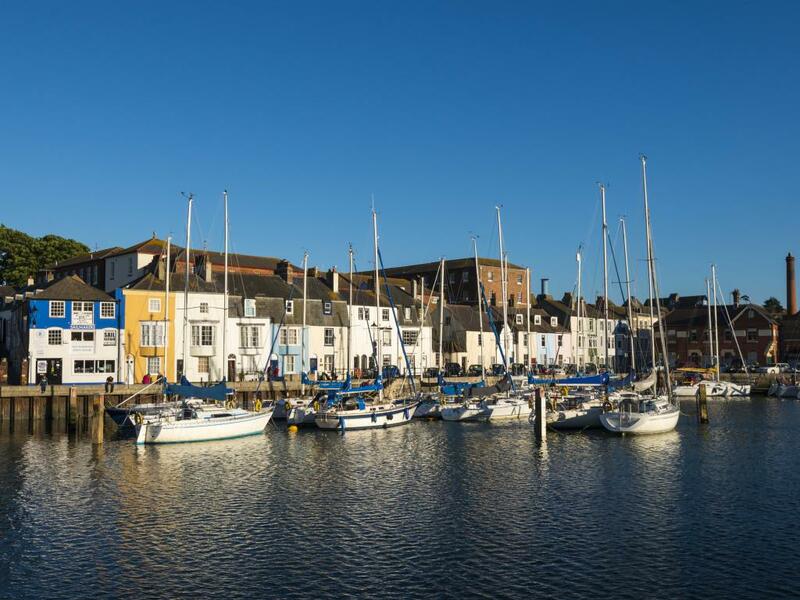 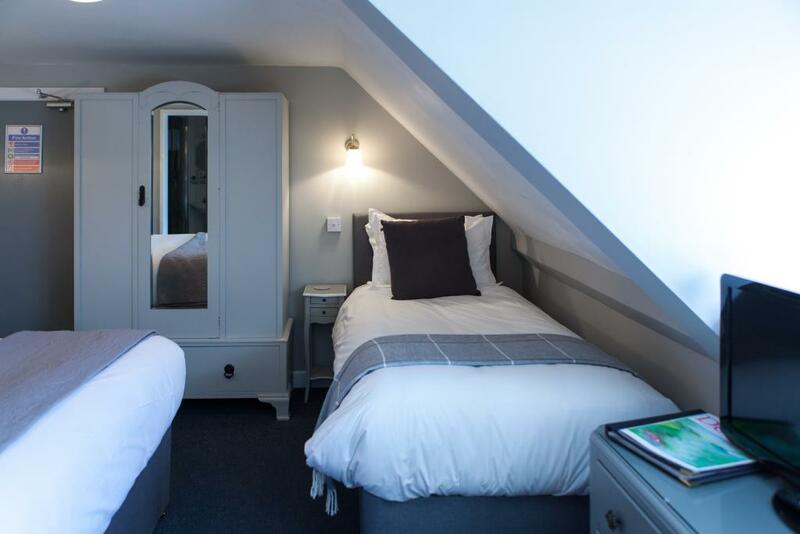 These rooms are neutrally decorated, have plenty of light, comfortable beds and also boasts an extraordinary view of the famous Weymouth sunset. 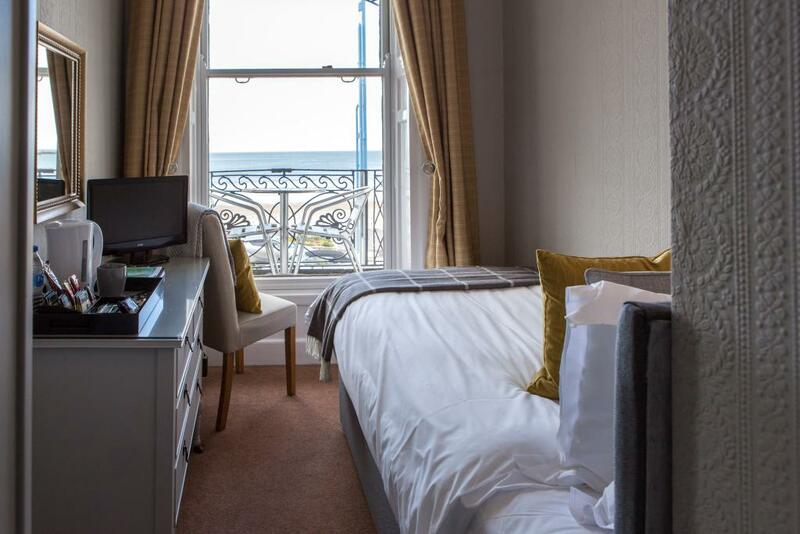 Our Premium Sea View Double room accommodate two people, with a Double bed. 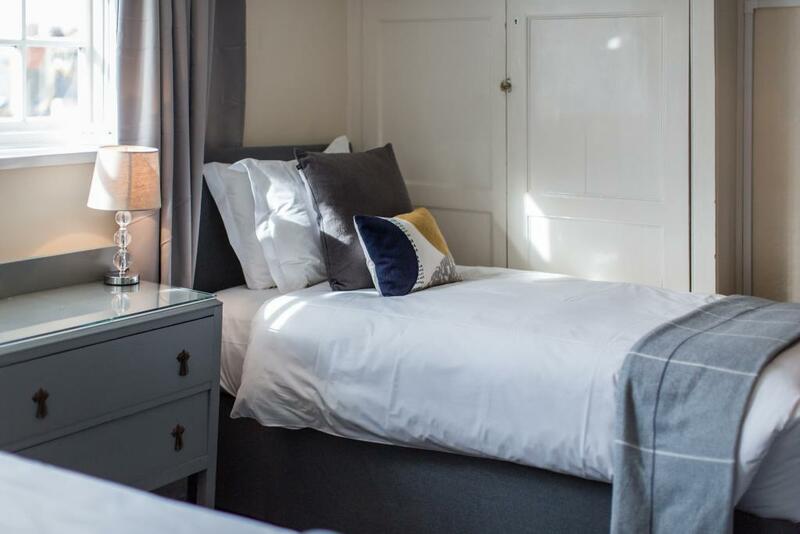 Our rooms are both comfortable and relaxing – with crisp white linen, plump pillows, well equipped bathrooms and a generous supply of tea, coffee and Dorset biscuits. 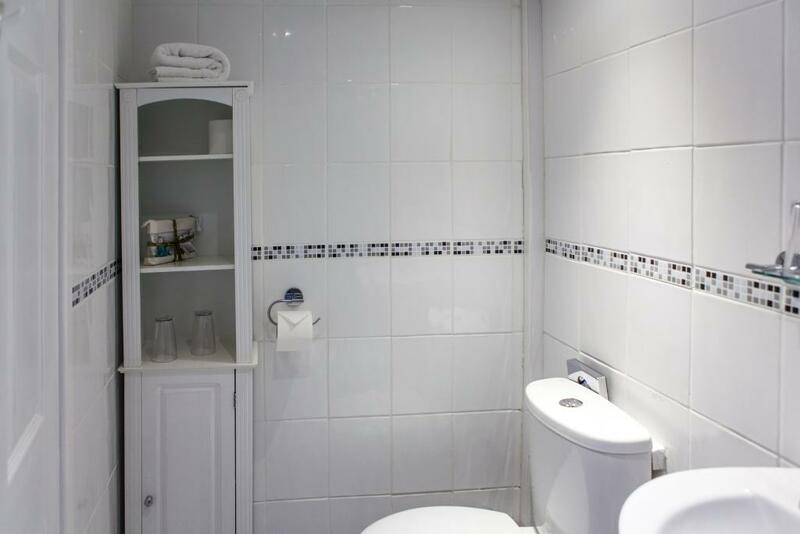 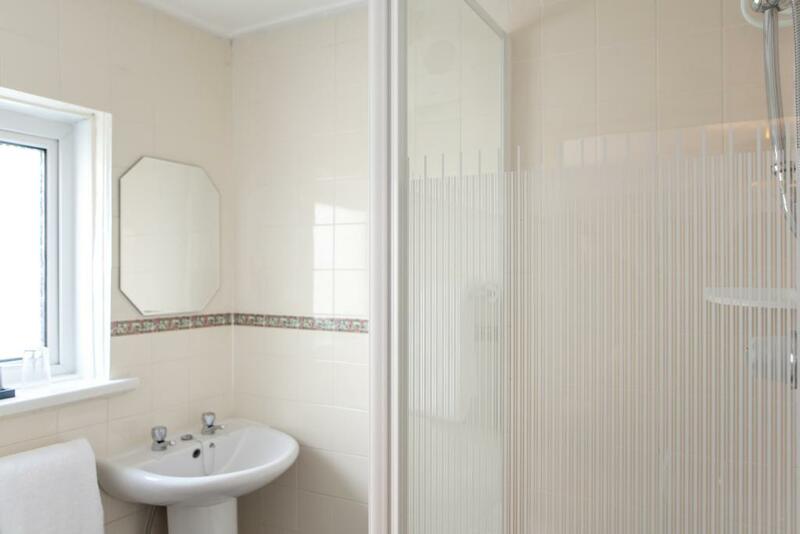 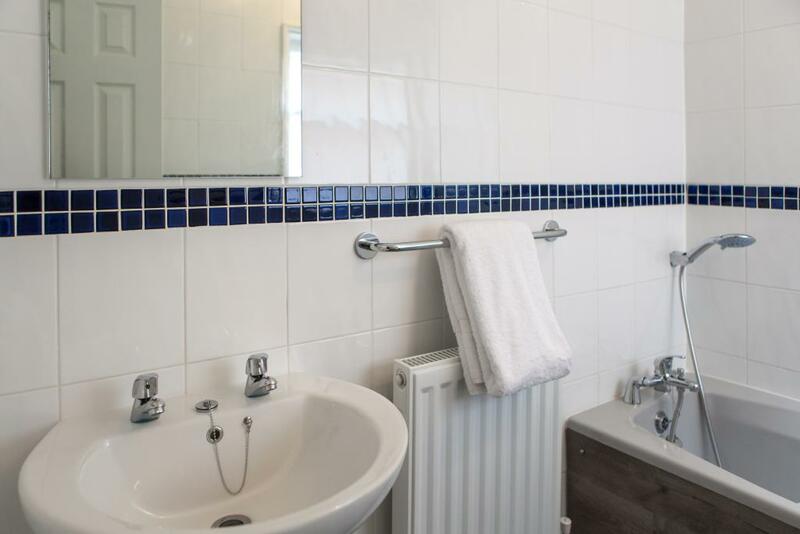 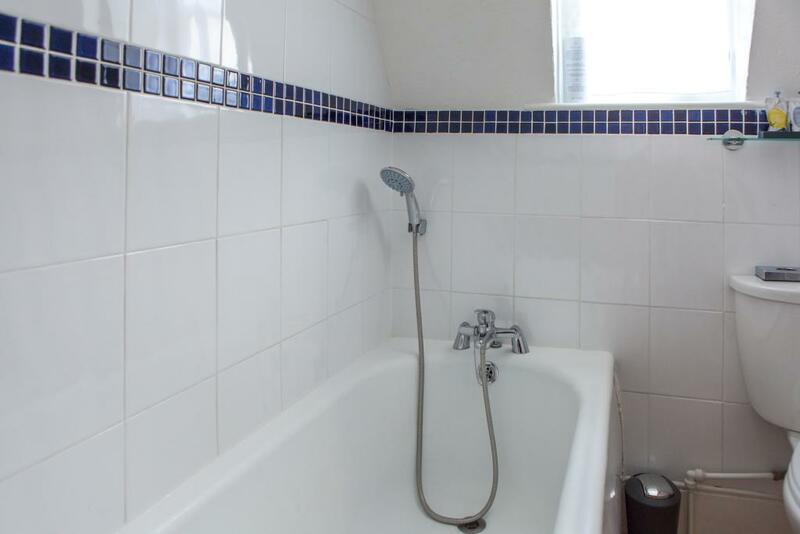 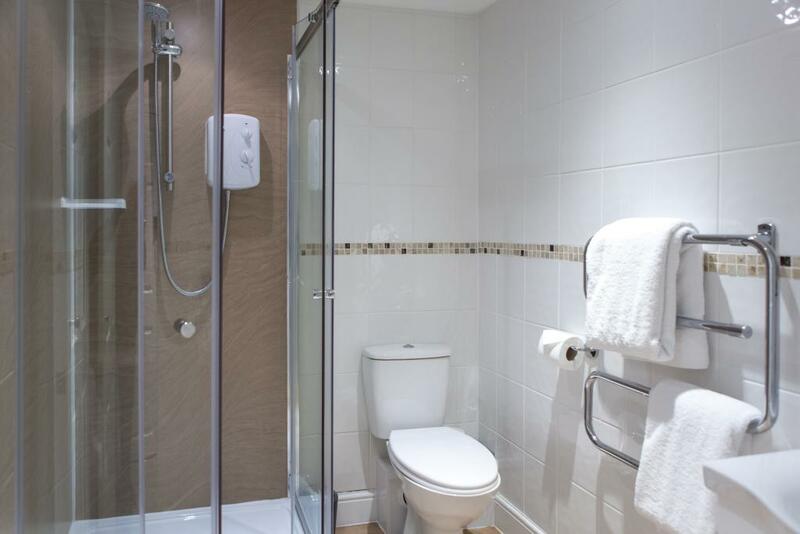 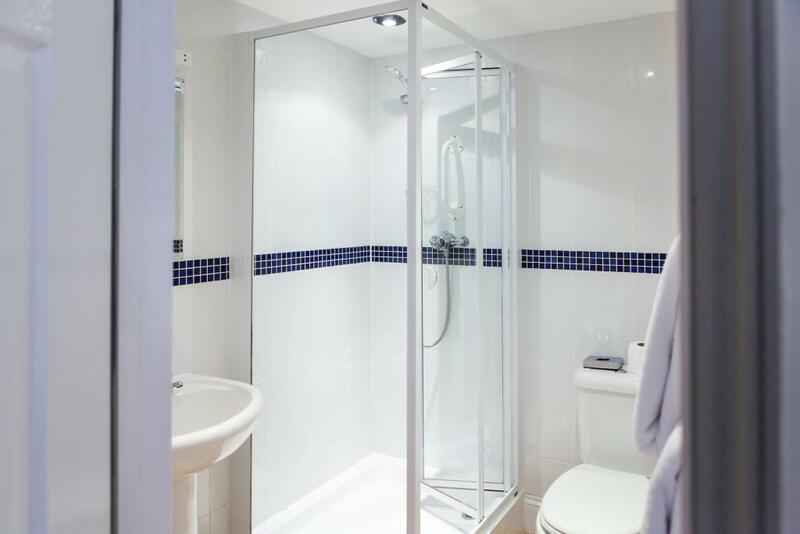 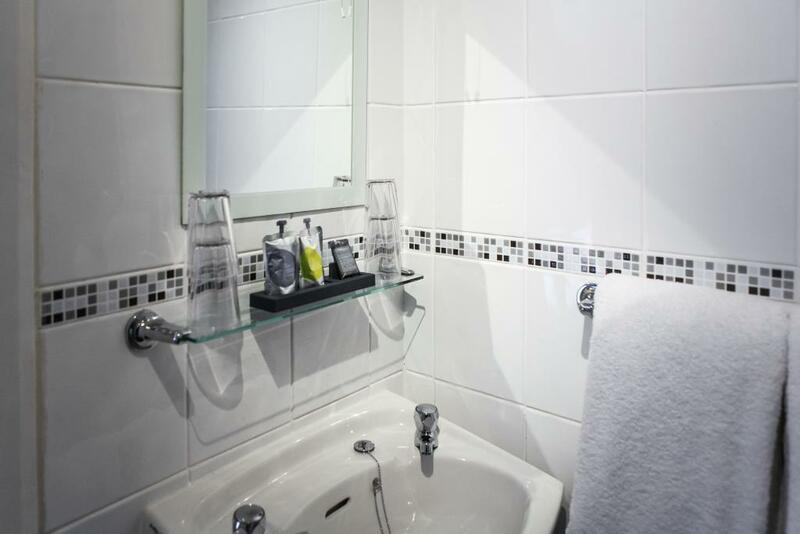 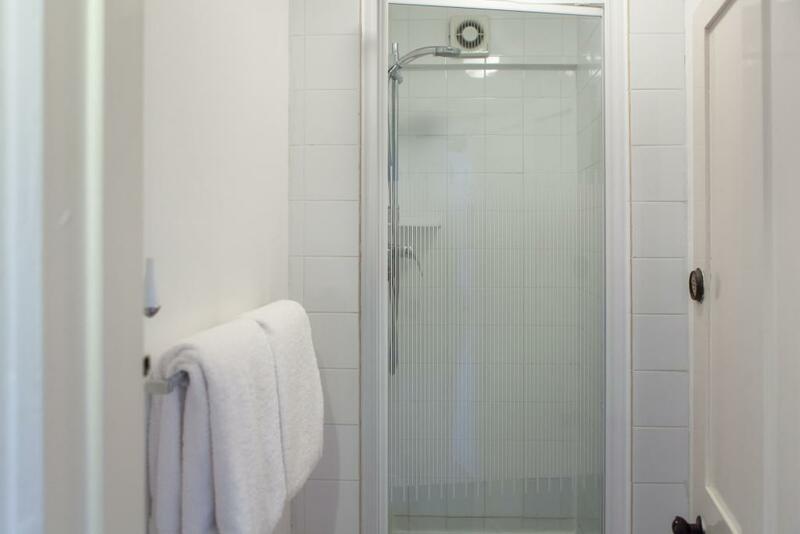 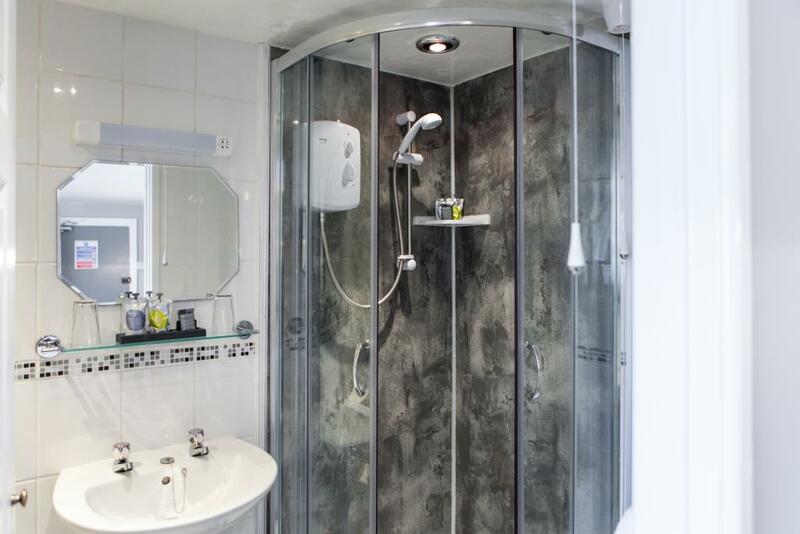 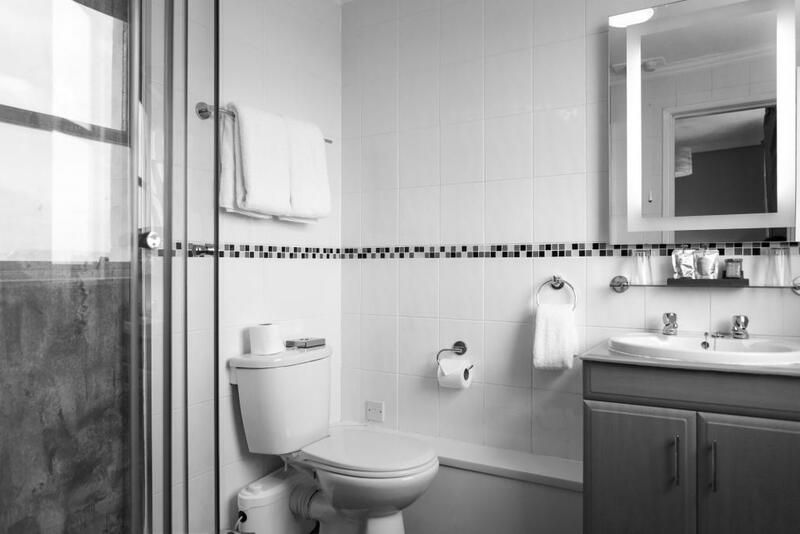 This room features an ensuite Shower room. 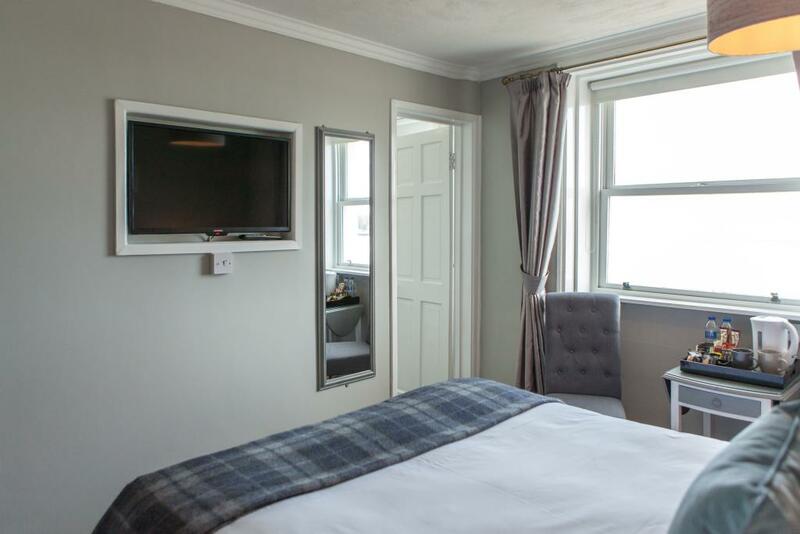 Room Facilities: Complimentary high speed WiFi, flat-screen TV with Freeview channels, USB 2.0 charging Port, Ironing facilities are available, heating, bath, hair dryer, complimentary luxury Anyah toiletries and hospitality tray. 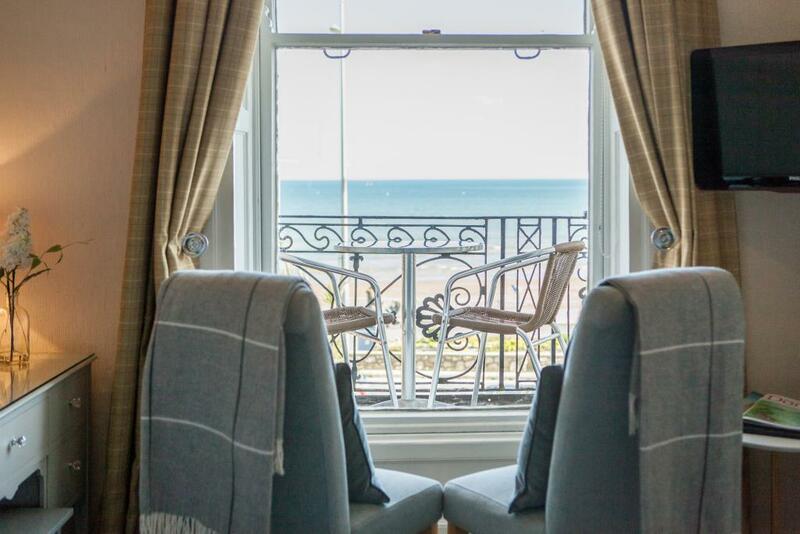 Our Classic cosy Double features a Sea View. 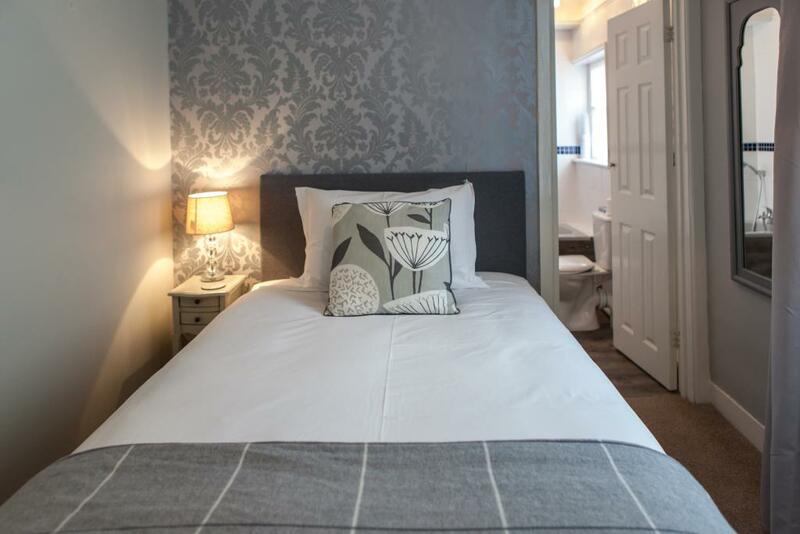 This room accommodates two people, with a Double bed. 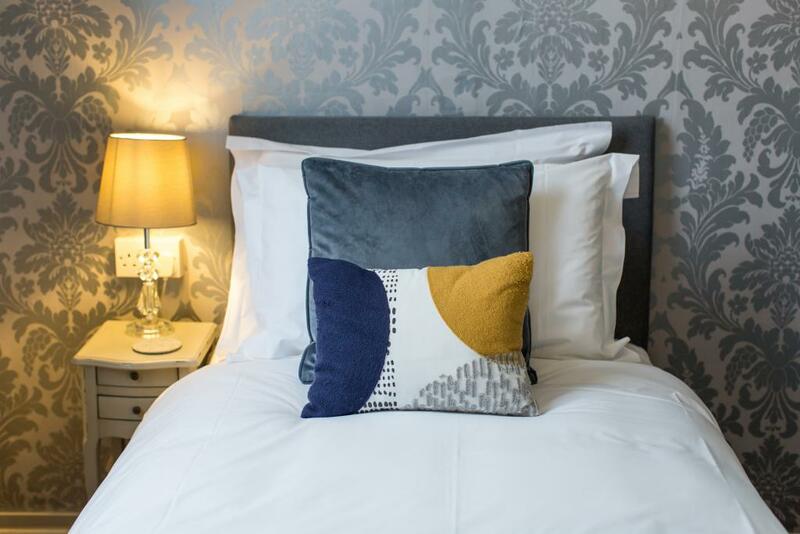 Our rooms are both comfortable and relaxing – with crisp white linen, plump pillows, well equipped bathrooms and a generous supply of tea, coffee and Dorset biscuits. This room is located on the top floor and the sea view can only be appreciated when stood at the window. 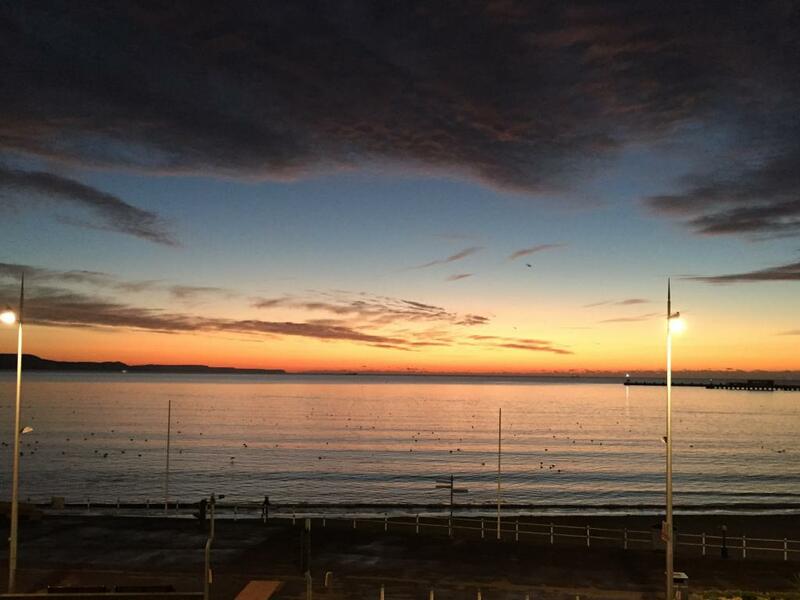 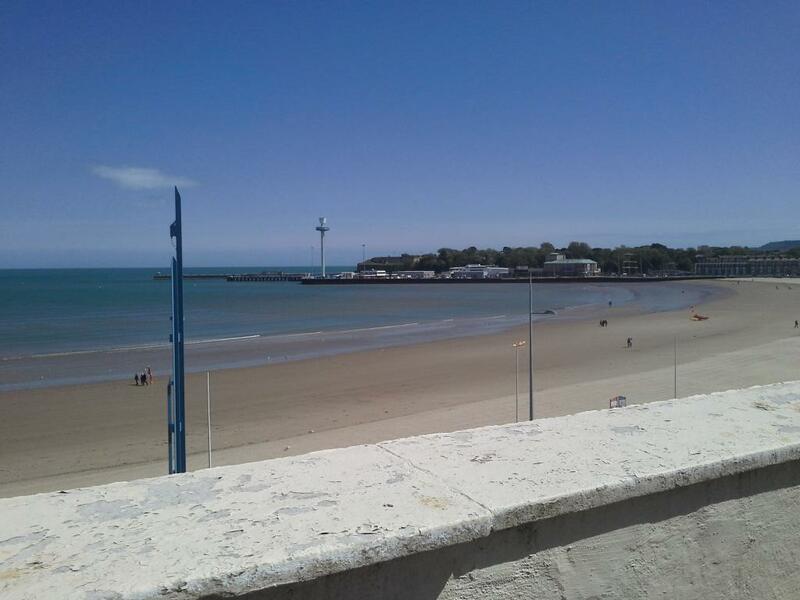 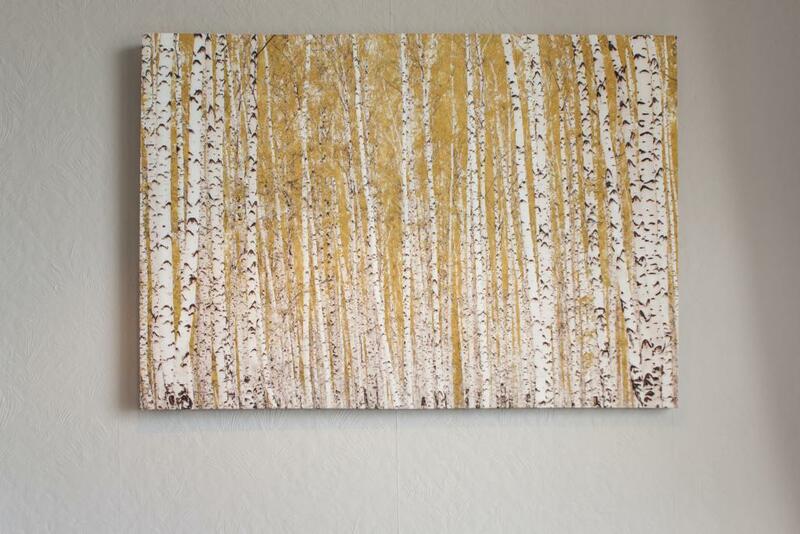 The view is pictured on our Gallery page. 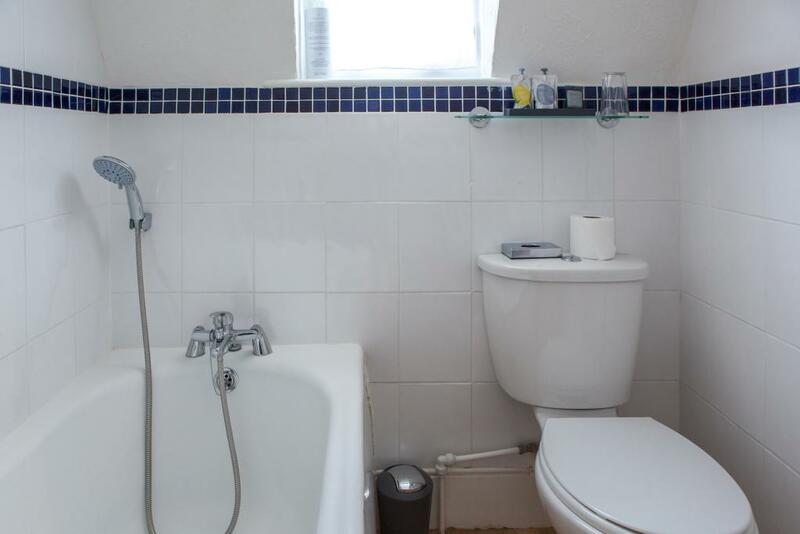 This room features an en-suite Shower. 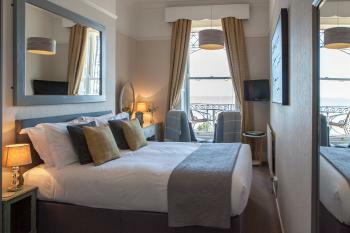 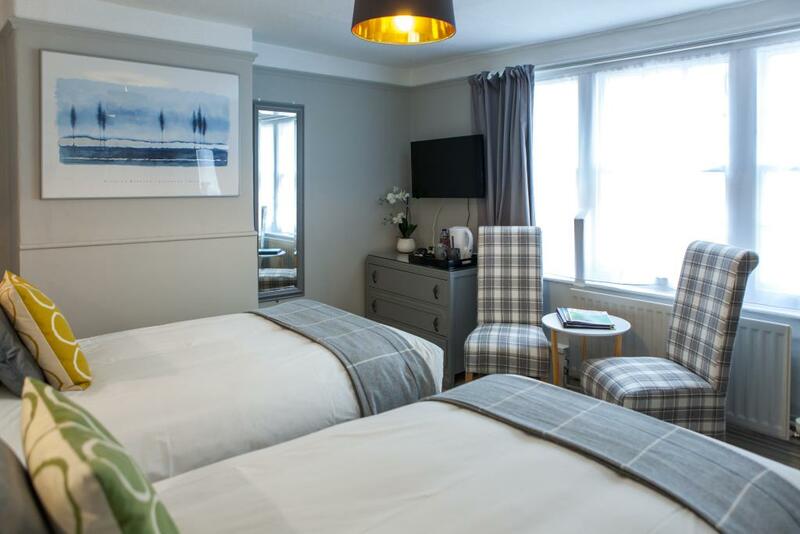 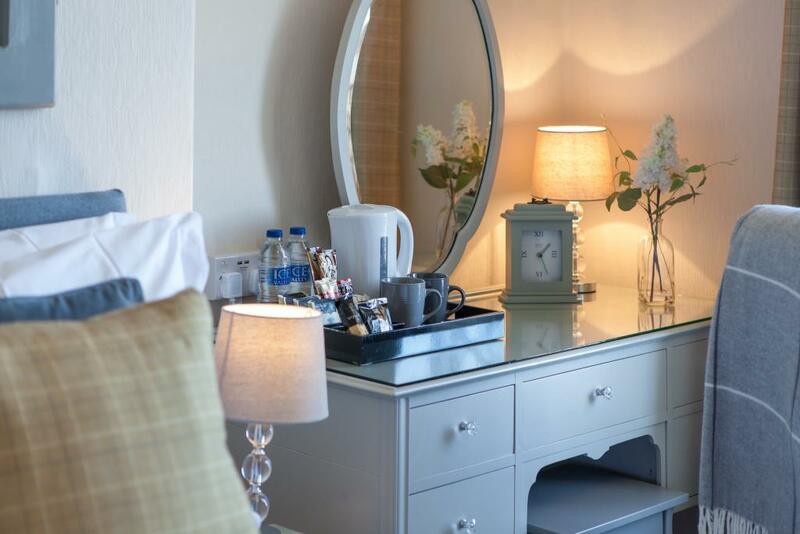 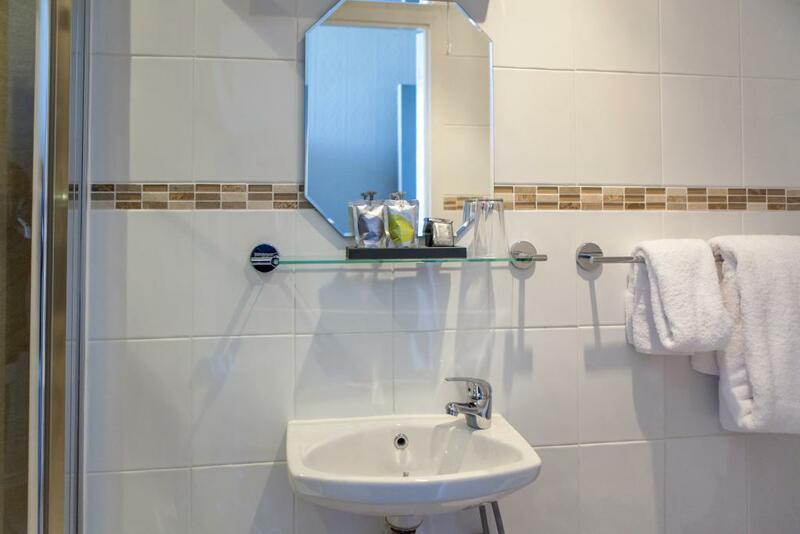 Room Facilities: Sea View, Complimentary high speed WiFi, flat-screen TV with Freeview channels, USB 2.0 charging Port, Ironing facilities are available, heating, bath, hair dryer, complimentary luxury Anyah toiletries and hospitality tray. 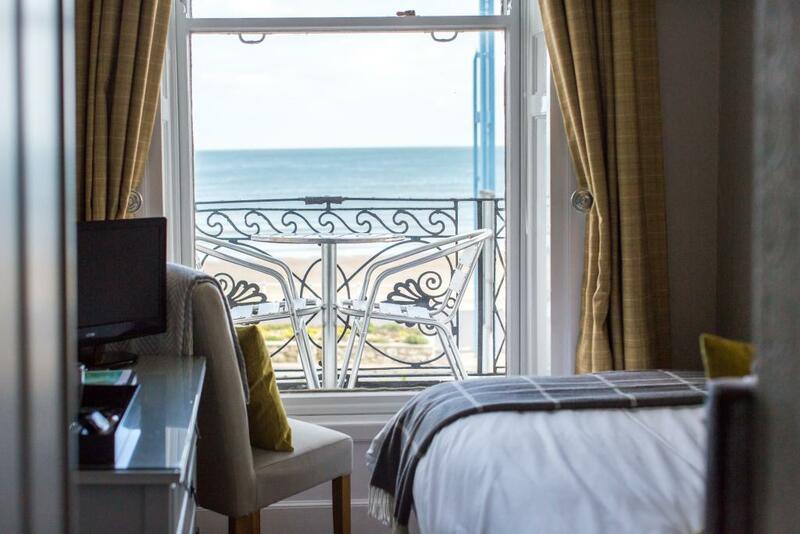 A view to remember…….. Our Sea View rooms overlook the great sheltered bay of Weymouth and the ever-shifting waves of the English Channel. 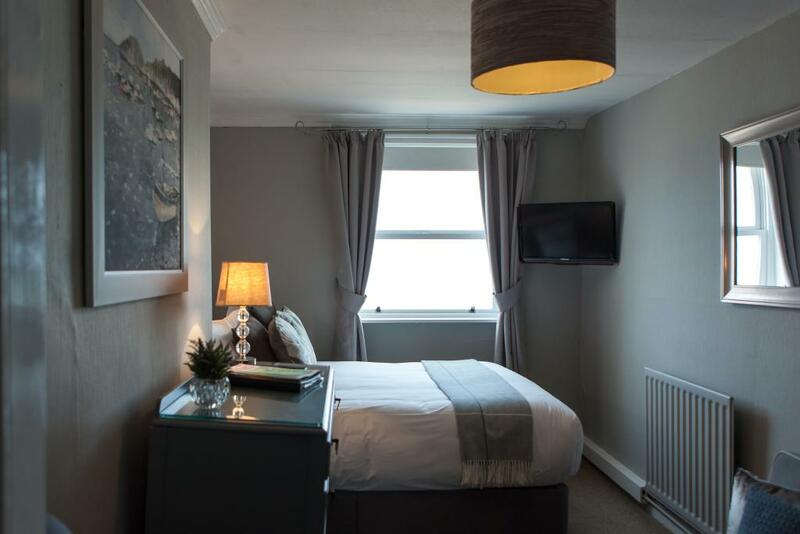 These rooms are neutrally decorated, has plenty of light, comfortable beds and also boasts an extraordinary view of the famous Weymouth sunset. Our Superior Double Sea View Room accommodates two people, with a Double bed. 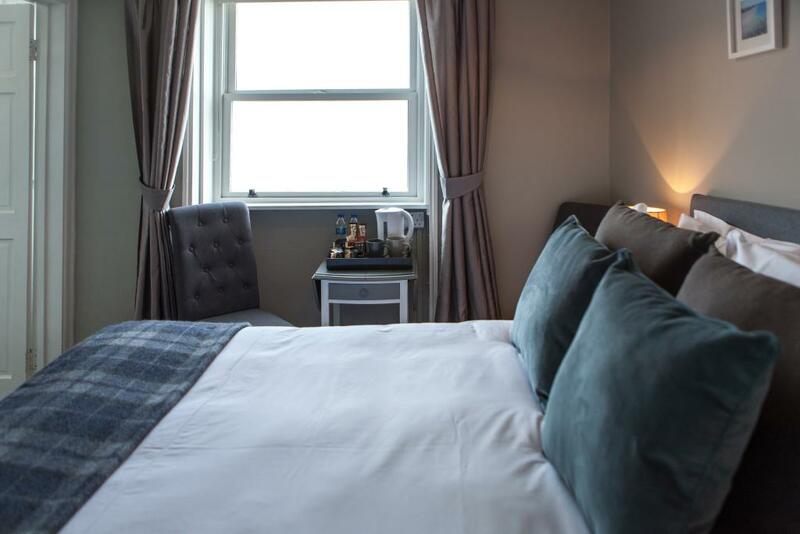 Our rooms are both comfortable and relaxing – with crisp white linen, plump pillows, well equipped bathrooms and a generous supply of tea, coffee and Dorset biscuits. 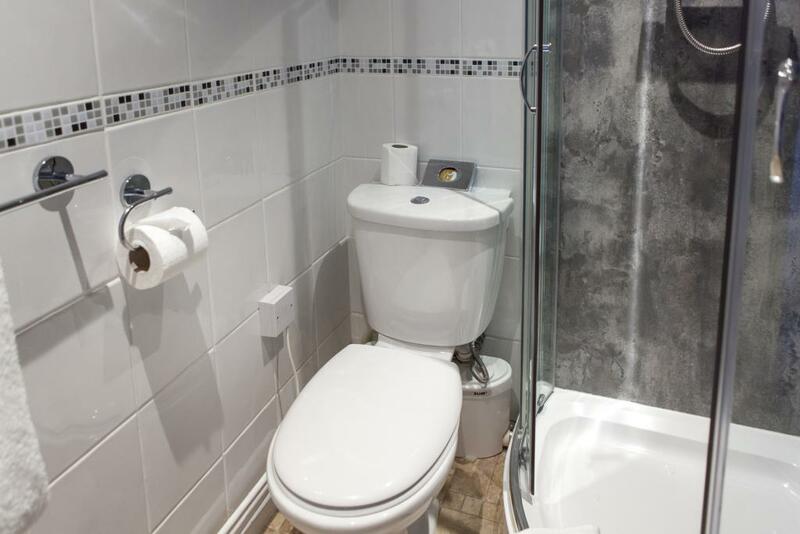 This room features an en-suite shower room. 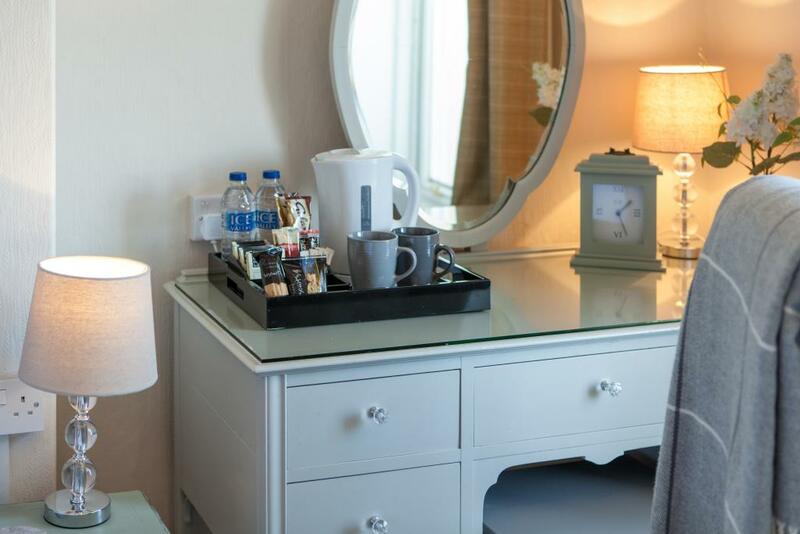 Room Facilities: Sea View, Complimentary high speed WiFi, flat-screen TV with Freeview channels, USB 2.0 charging Port, Ironing facilities are available, heating, bath, hair dryer, complimentary luxury Anyah toiletries and hospitality tray. 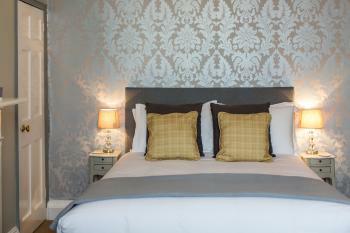 Our Superior Double room accommodates two people in a Double bed. 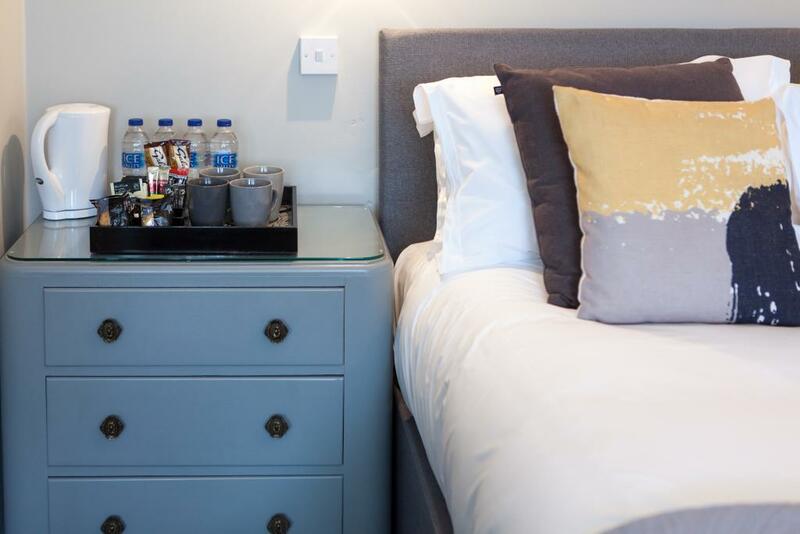 Our rooms are both comfortable and relaxing – with crisp white linen, plump pillows, well equipped bathrooms and a generous supply of tea, coffee and Dorset biscuits. 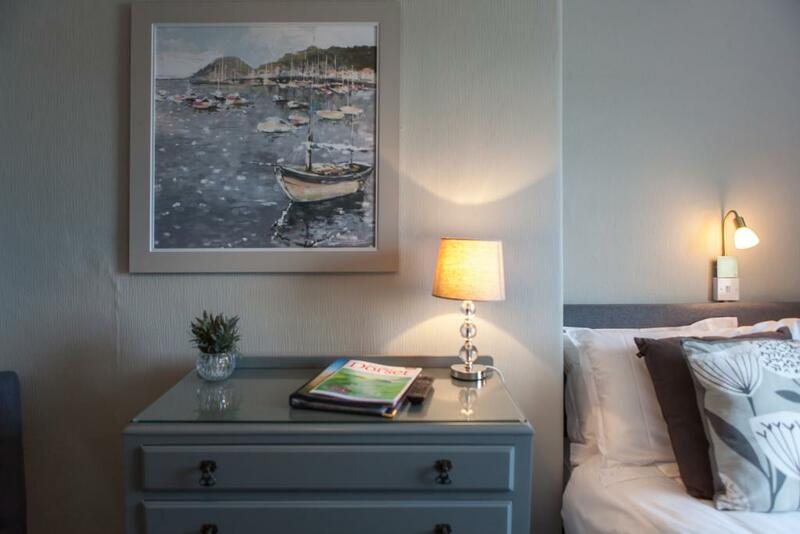 Our Inland View Rooms are perfect for those who'll get their sea-view fix by day, before returning to sleep in complete style and comfort. 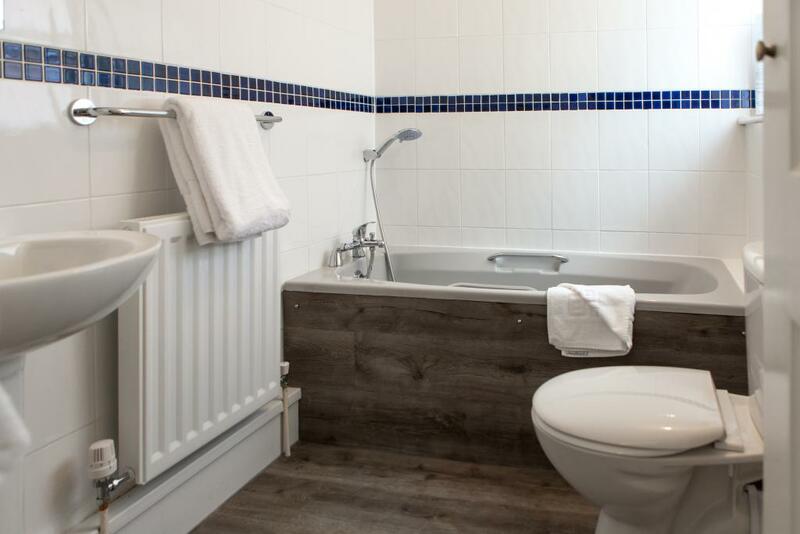 This room features an en-suite Shower. 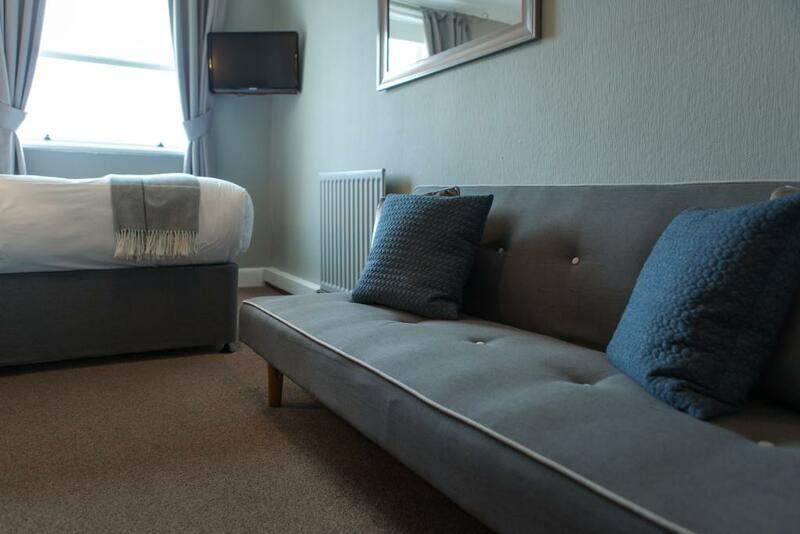 This is a room to properly unwind in and features a comfortable seating area with sofa. 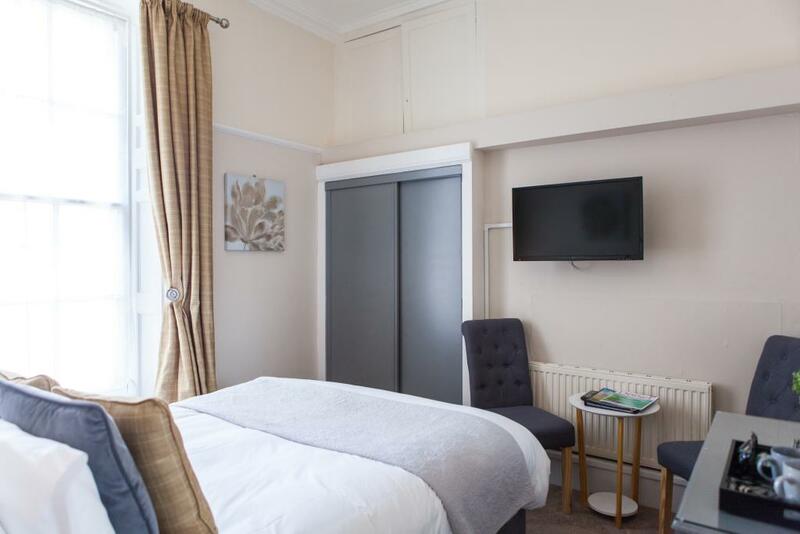 Room Facilities: Complimentary high speed WiFi, flat-screen TV with Freeview channels, USB 2.0 charging Port, Ironing facilities are available, heating, bath, hair dryer, complimentary luxury Anyah toiletries and hospitality tray. 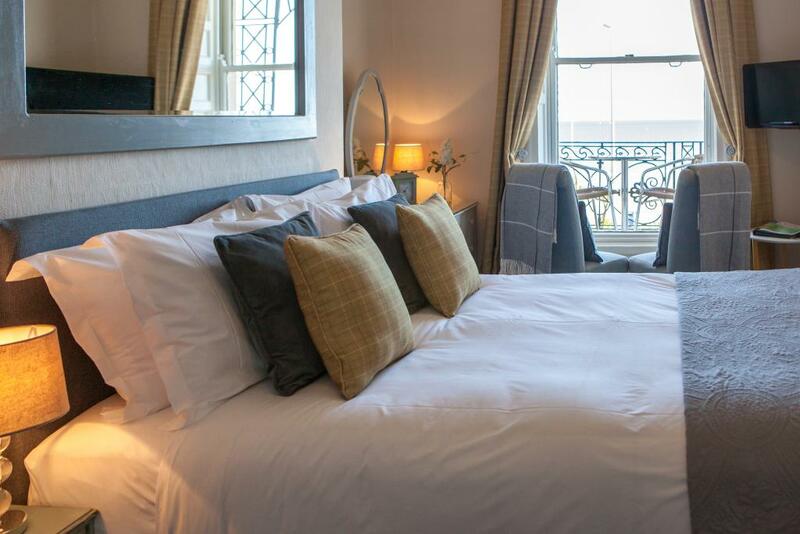 Sea View Bedrooms Our Sea View rooms overlook the great sheltered bay of Weymouth and the ever-shifting waves of the English Channel. 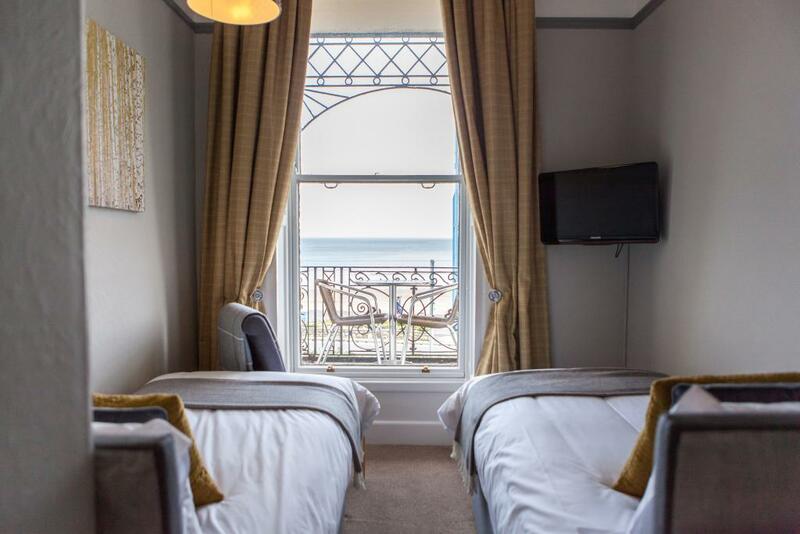 These rooms are neutrally decorated, has plenty of light, comfortable beds and also boasts an extraordinary view of the famous Weymouth sunset. 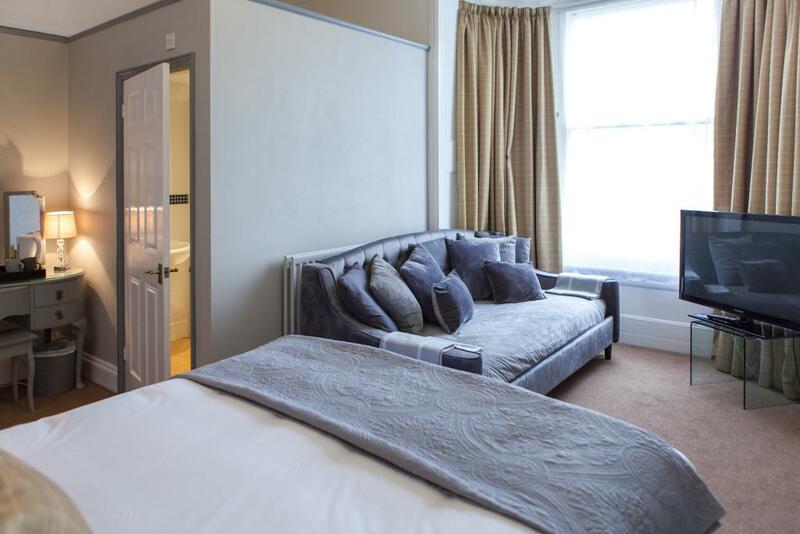 Our Triple Superior Family rooms accommodate up to three people, with a Double and a single bed. 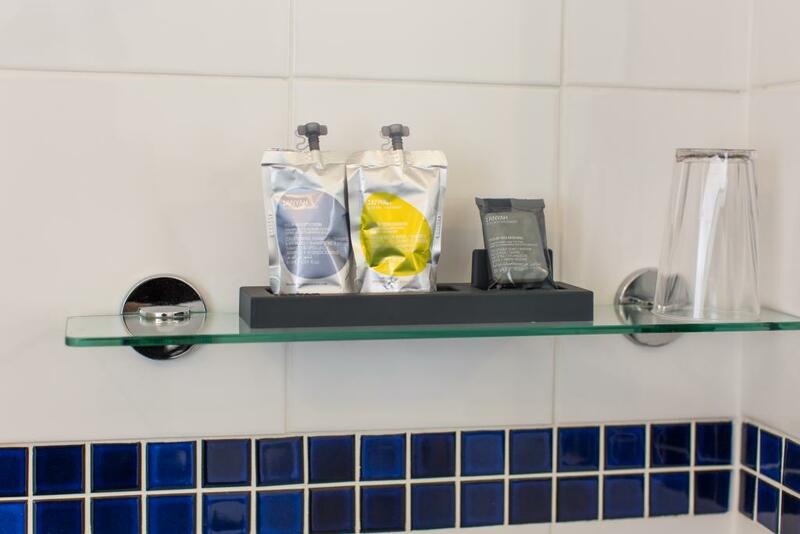 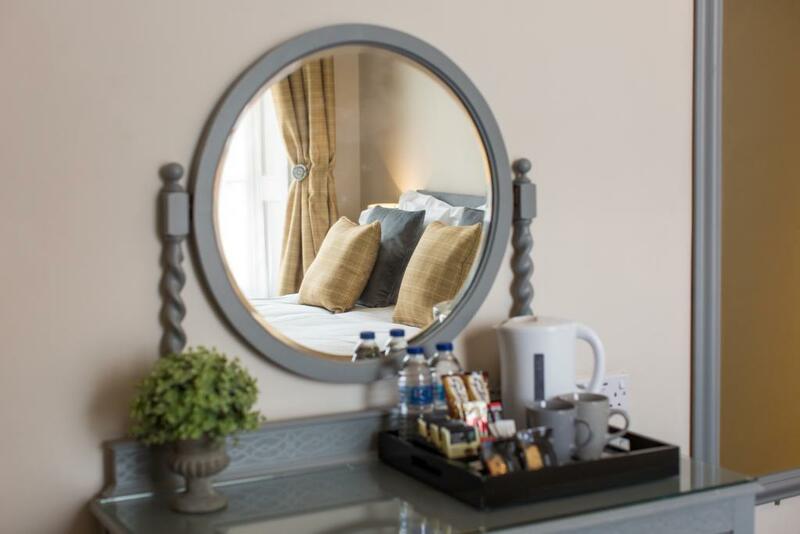 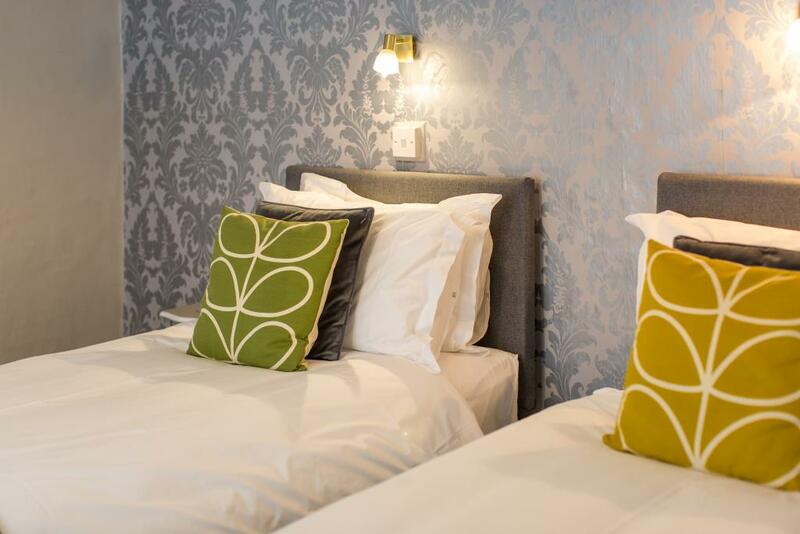 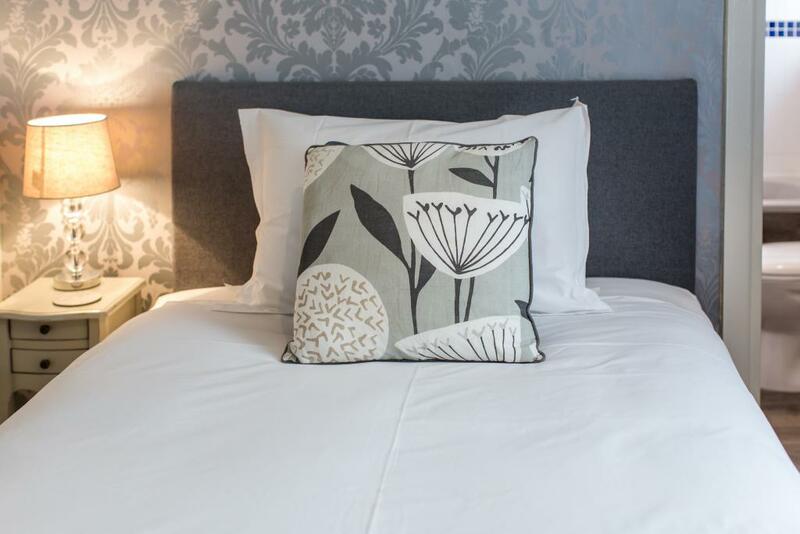 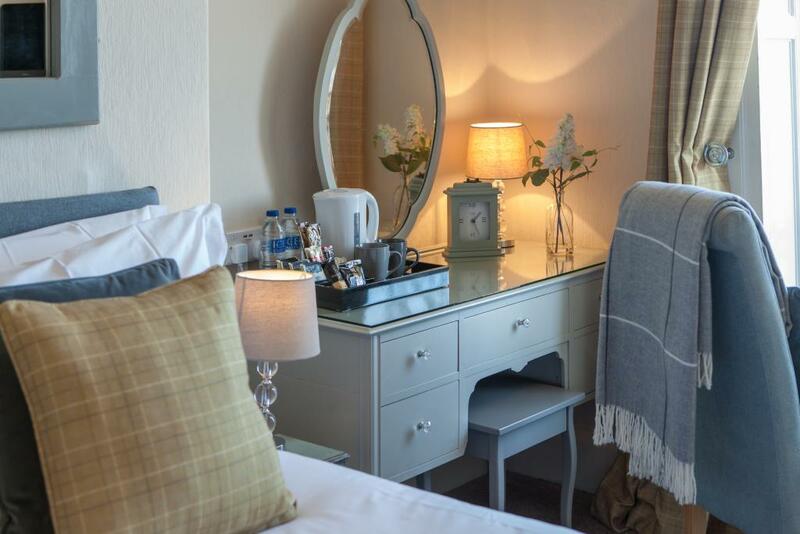 Our rooms are both comfortable and relaxing – with crisp white linen, plump pillows, well equipped bathrooms and a generous supply of tea, coffee and biscuits. 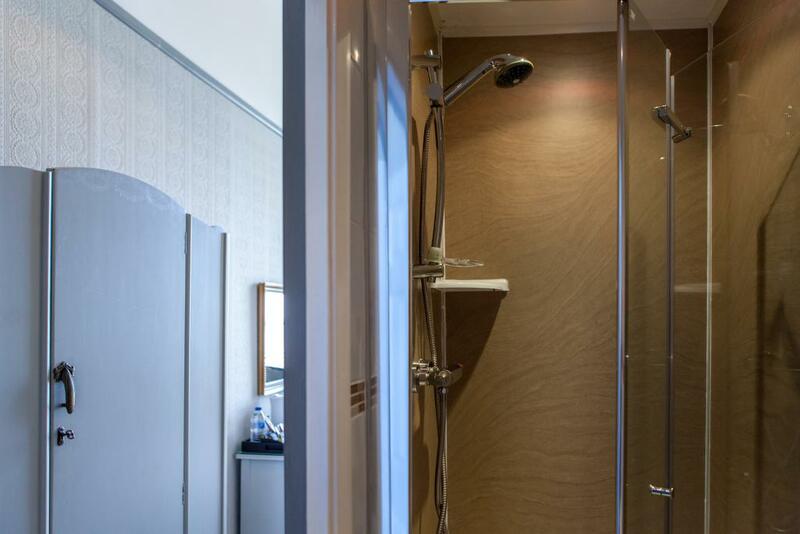 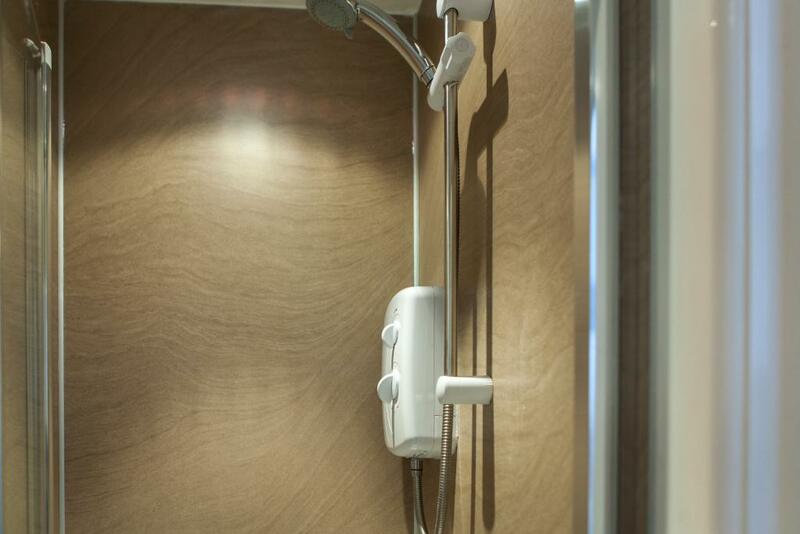 These rooms feature en-suite Showers. 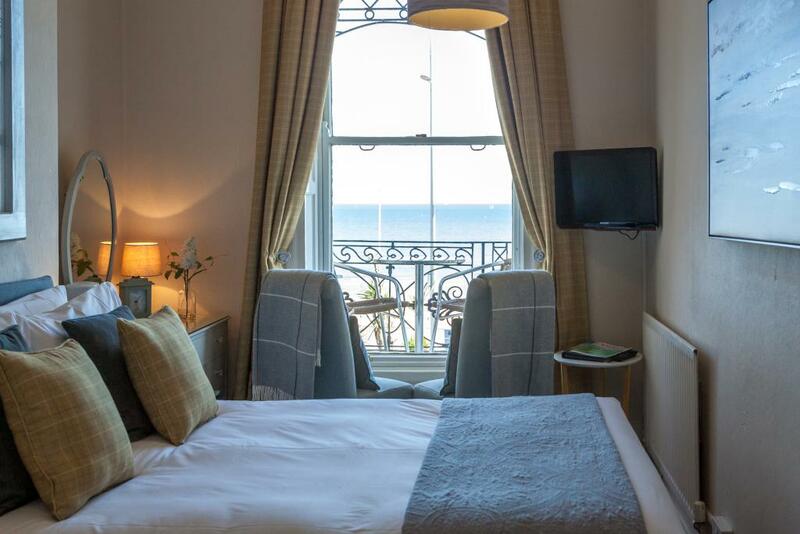 Room Facilities: Sea View, Complimentary high speed WiFi, flat-screen TV with Freeview channels, USB 2.0 charging Port, Ironing facilities are available, heating, bath, hair dryer, complimentary luxury Anyah toiletries and hospitality tray. 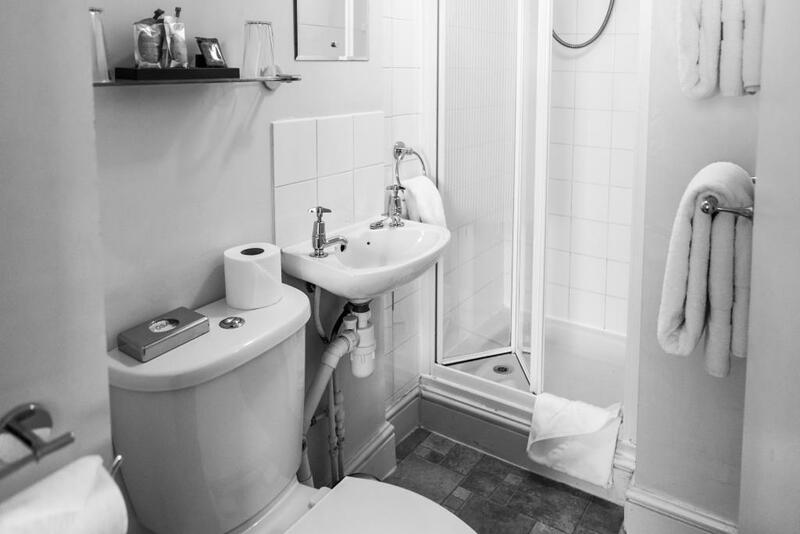 One of these rooms is situated on the 2nd Floor and the other on the 3rd (Top) floor . 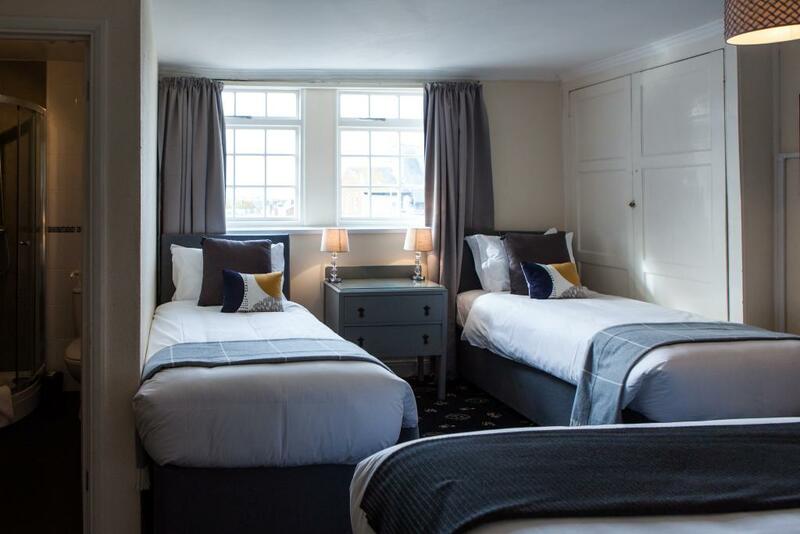 Our Classic Quad Family rooms accommodate up to four people, with a Double bed and two single beds. 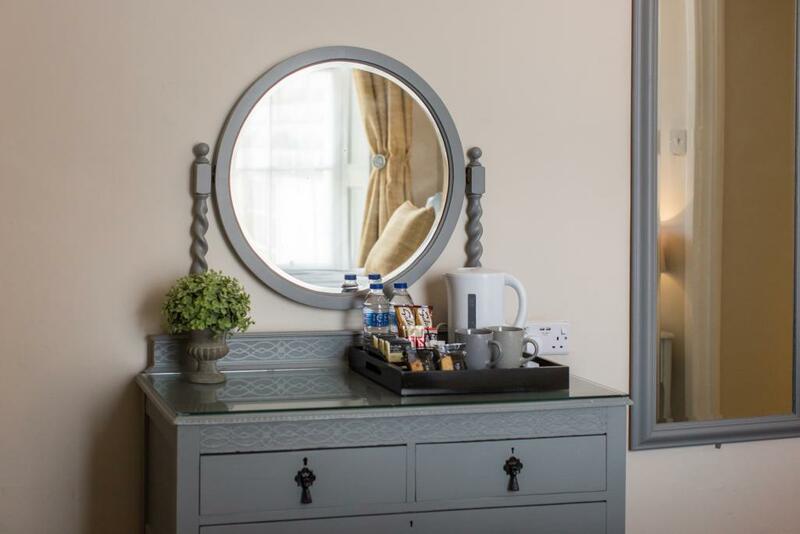 Our rooms are both comfortable and relaxing – with crisp white linen, plump pillows, well equipped bathrooms and a generous supply of tea, coffee and biscuits. 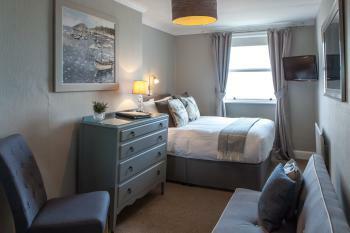 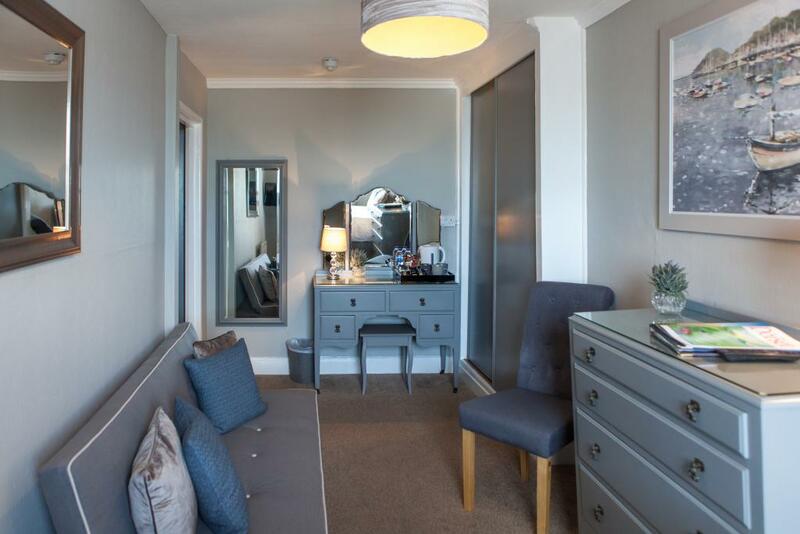 These Inland facing Rooms are perfect for those who'll get their sea-view fix by day, before returning to sleep in complete style and comfort.These rooms feature en-suite Showers. 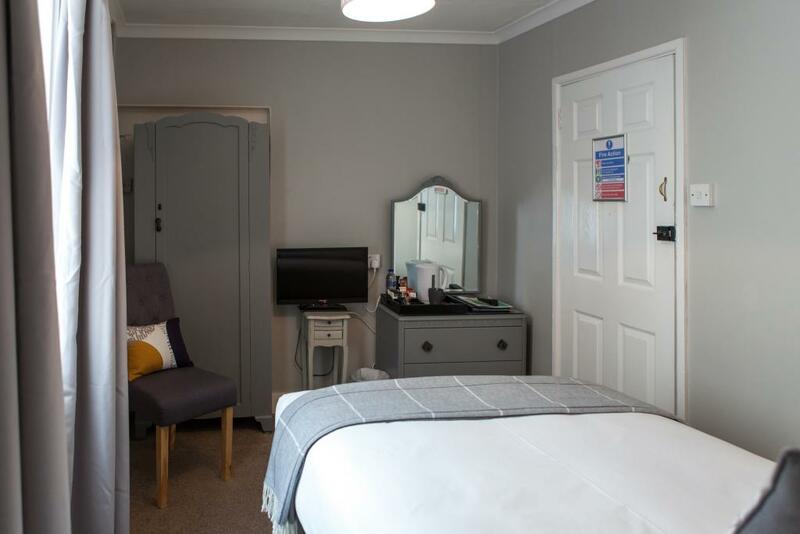 Room Facilities: Complimentary high speed WiFi, flat-screen TV with Freeview channels, USB 2.0 charging Port, Ironing facilities are available, heating, bath, hair dryer, complimentary luxury Anyah toiletries and hospitality tray. 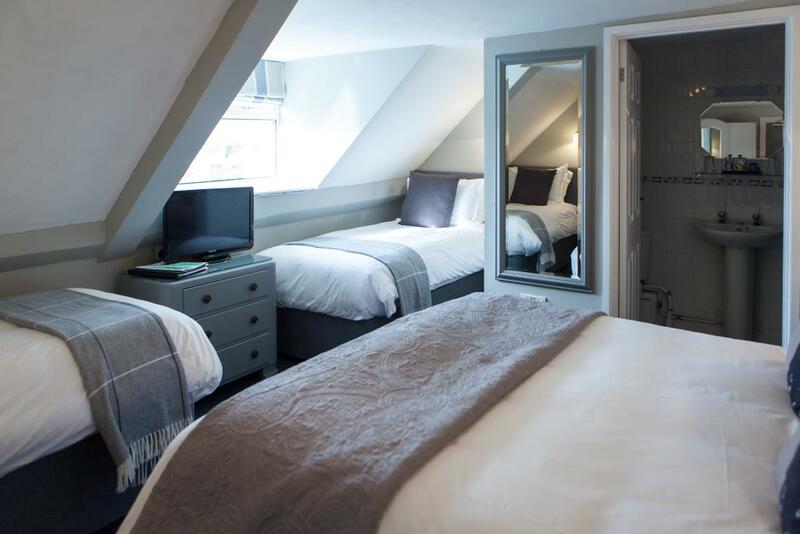 One of these rooms is situated on the 2nd Floor and the other on the 3rd (Top) floor . 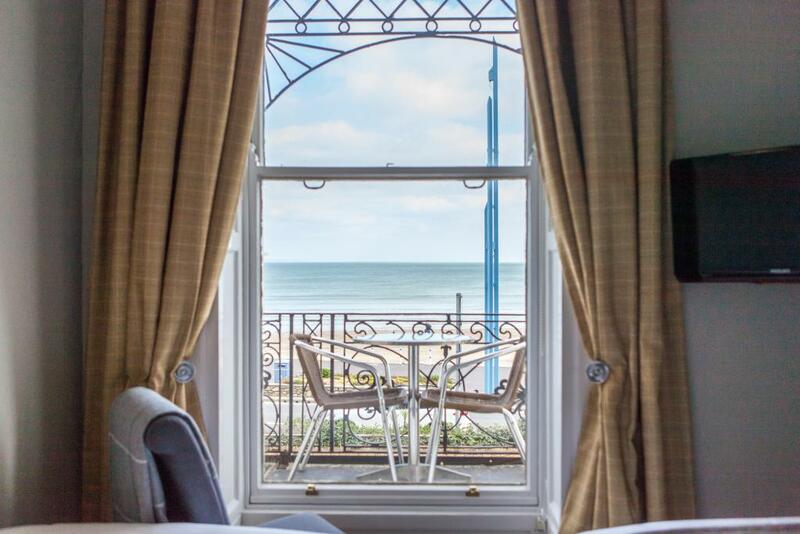 A view to remember…….. Our Premium Sea View rooms with private balcony, overlook the great sheltered bay of Weymouth and the ever-shifting waves of the English Channel. These rooms are neutrally decorated, have plenty of light, comfortable beds and also boasts an extraordinary view of the famous Weymouth sunset. 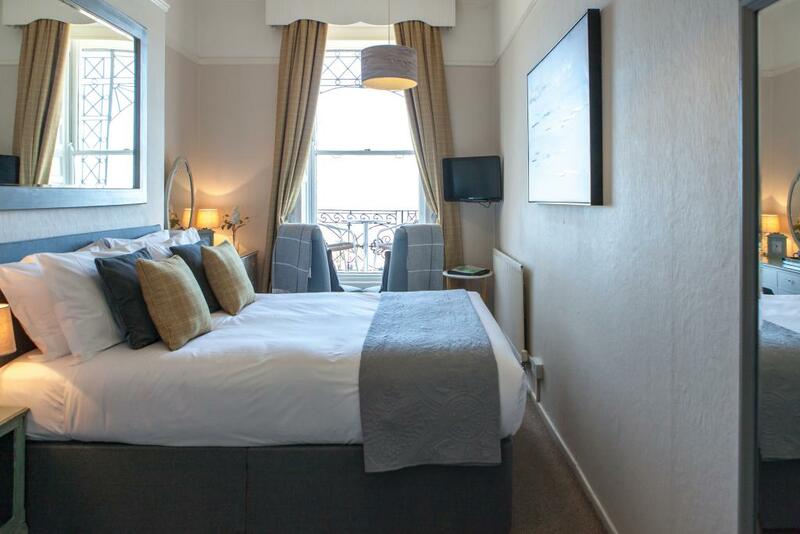 Our Premium Sea View Twin room accommodates two people, with two single beds. 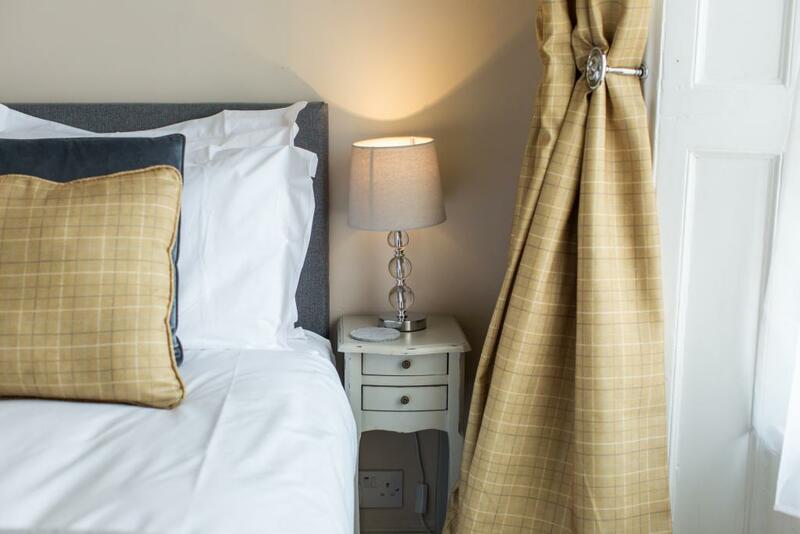 Our rooms are both comfortable and relaxing – with crisp white linen, plump pillows, well equipped bathrooms and a generous supply of tea, coffee and Dorset biscuits. 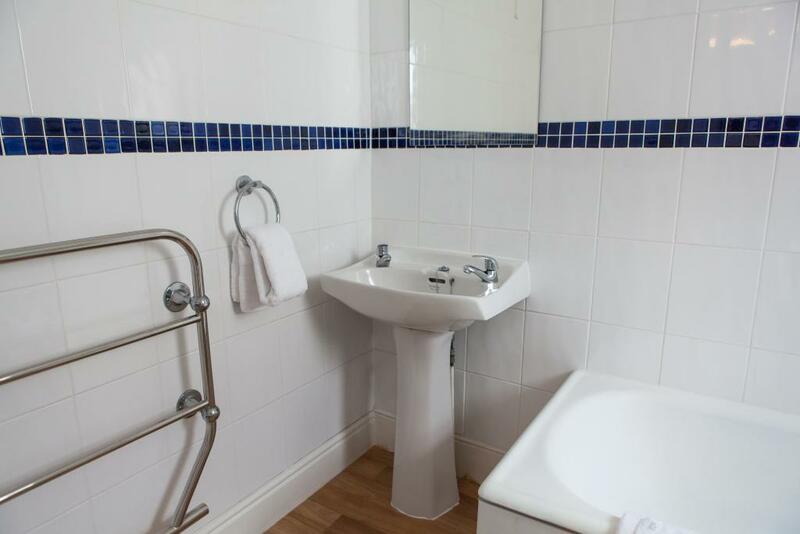 This room features an ensuite Shower room. 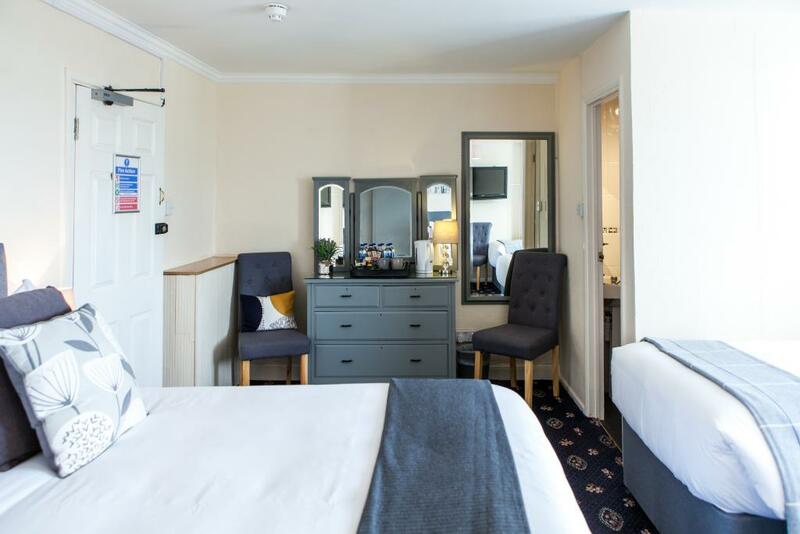 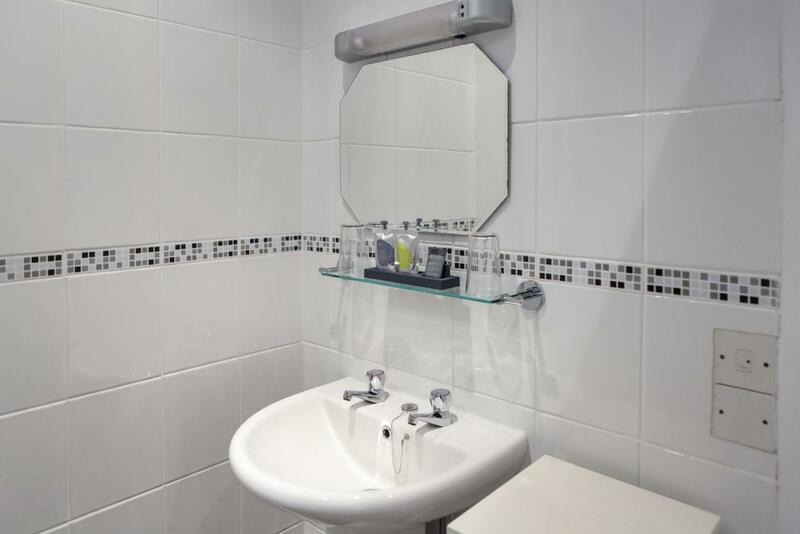 Room Facilities: Complimentary high speed WiFi, flat-screen TV with Freeview channels, USB 2.0 charging Port, Ironing facilities are available, heating, bath, hair dryer, complimentary luxury Anyah toiletries and hospitality tray.